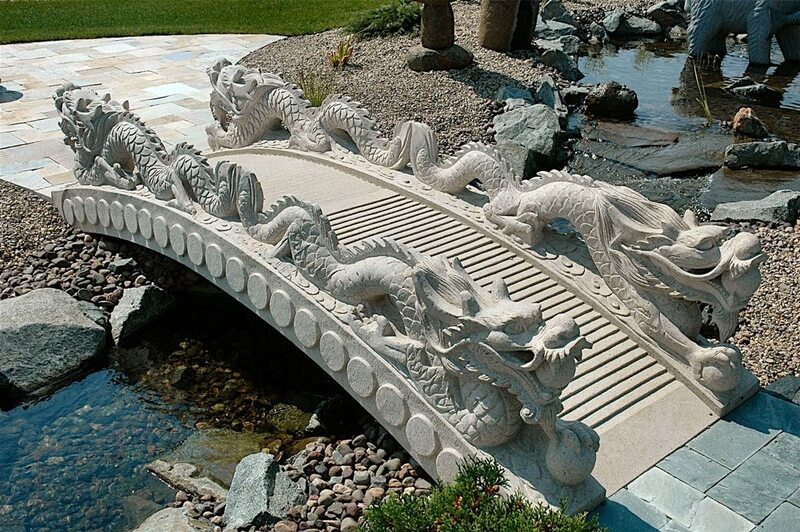 An elegantly styled Chinese dragon foot bridge with 4 oriental dragons. 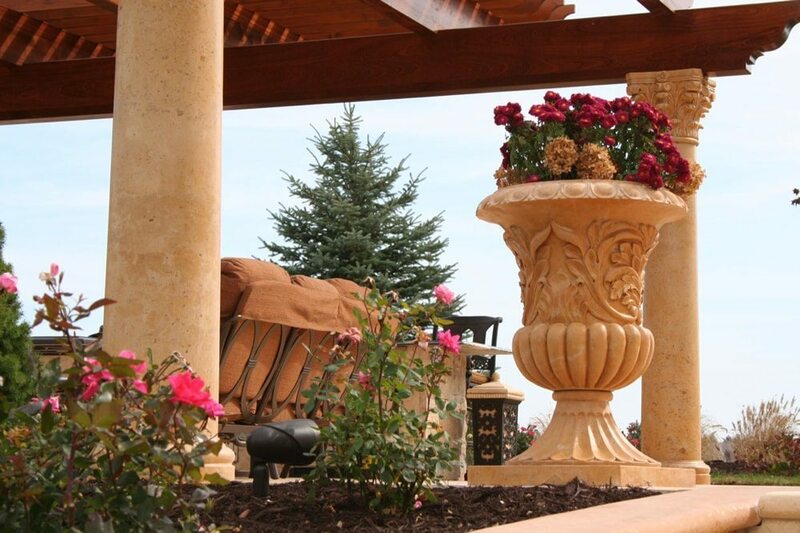 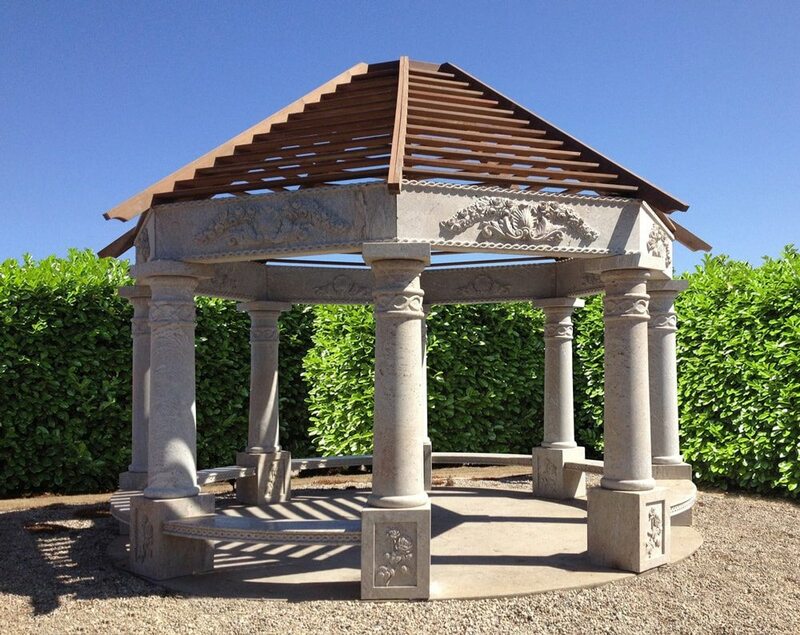 This 6-column gazebo features twist fluting up the columns with integrated bench seating and a matching granite paver floor. 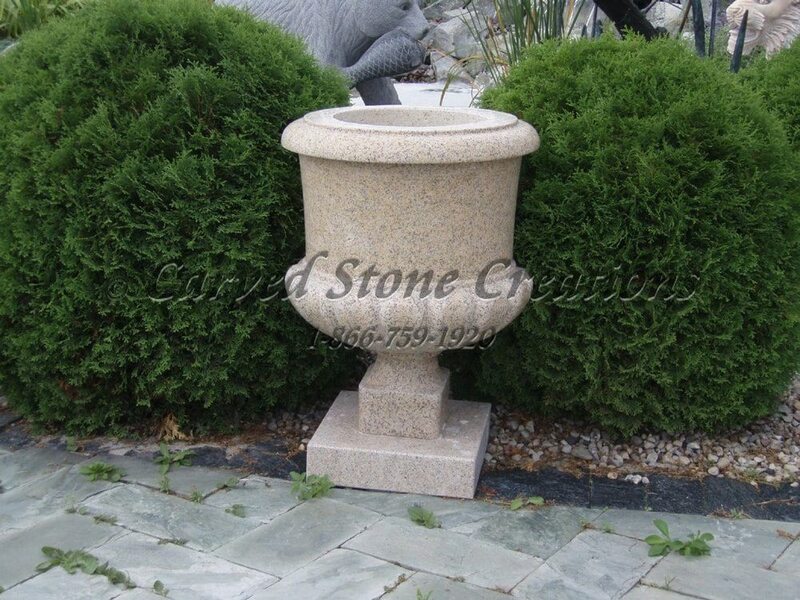 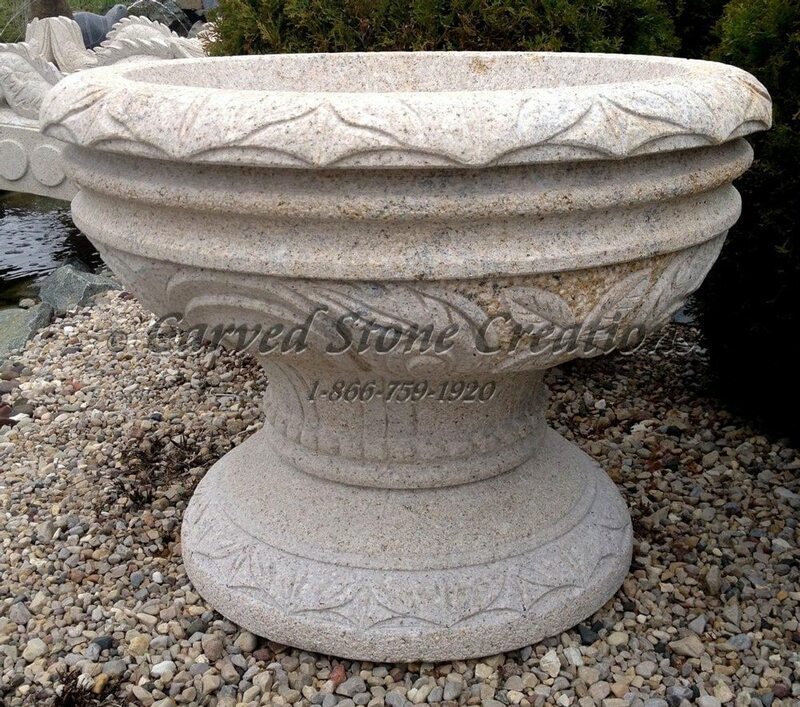 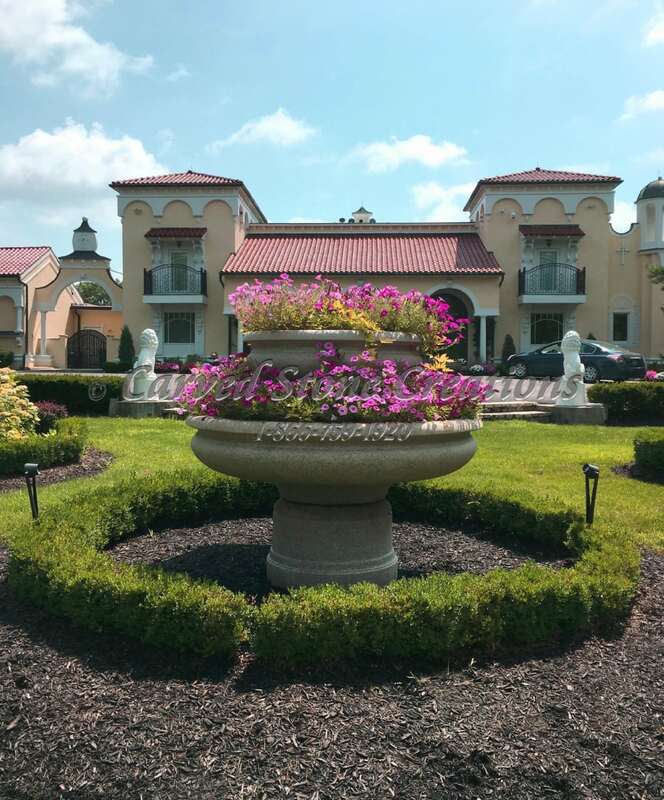 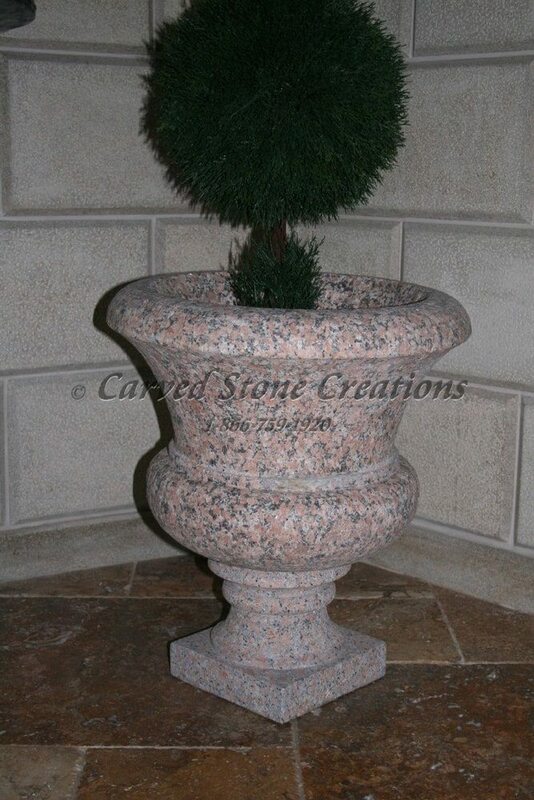 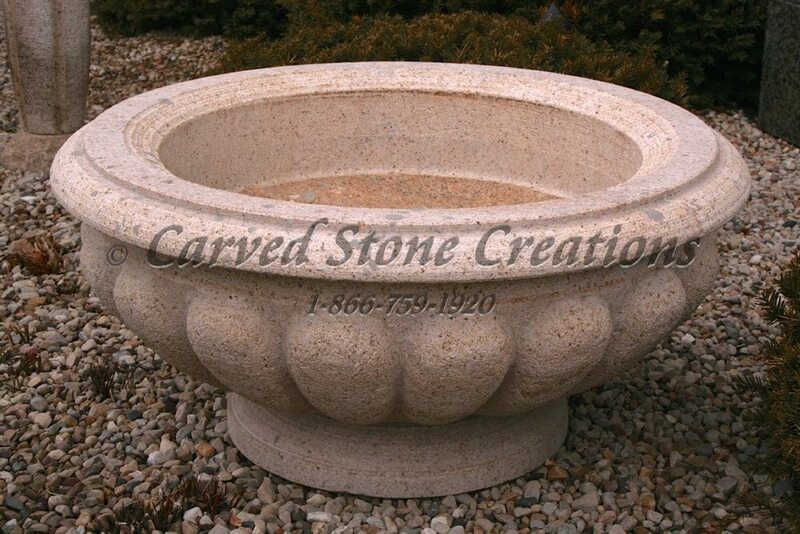 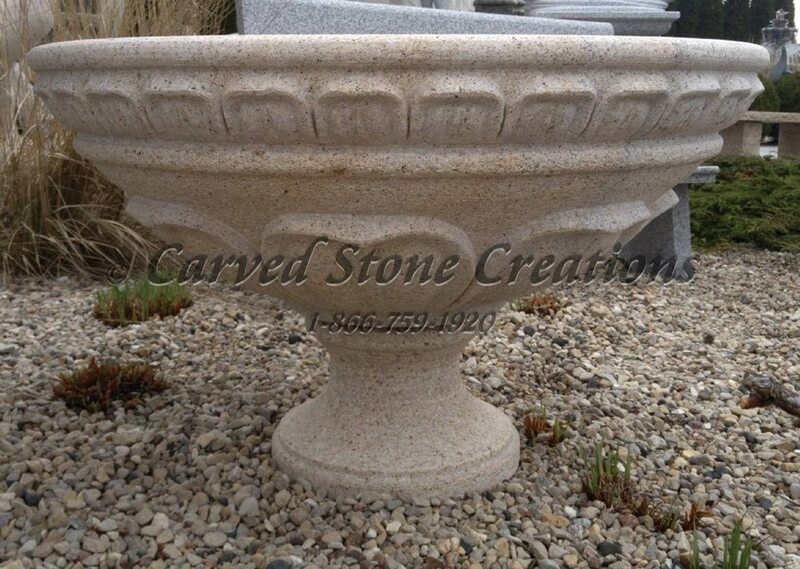 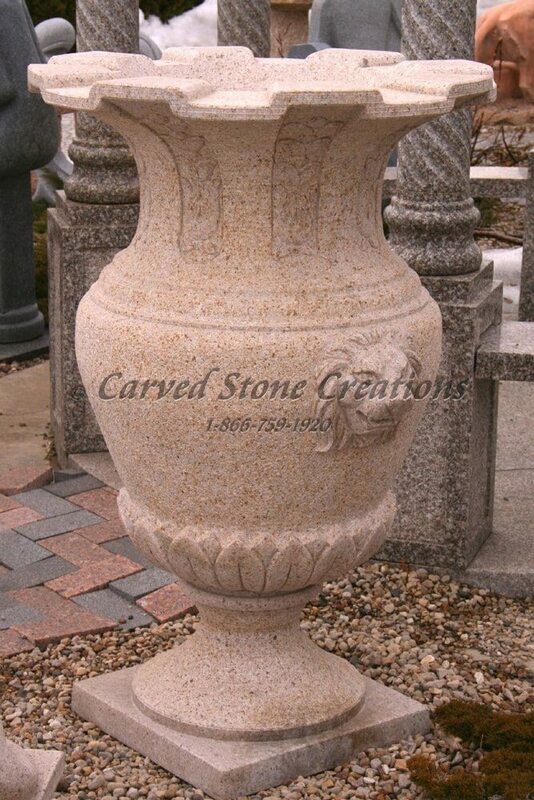 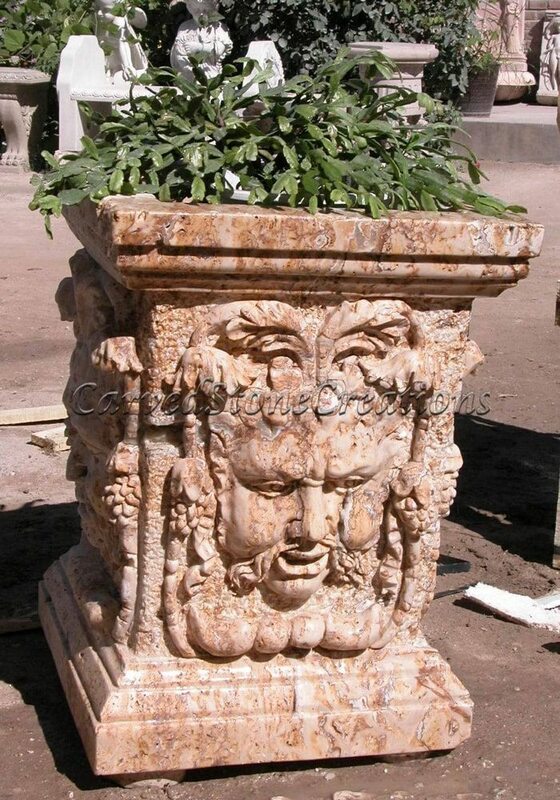 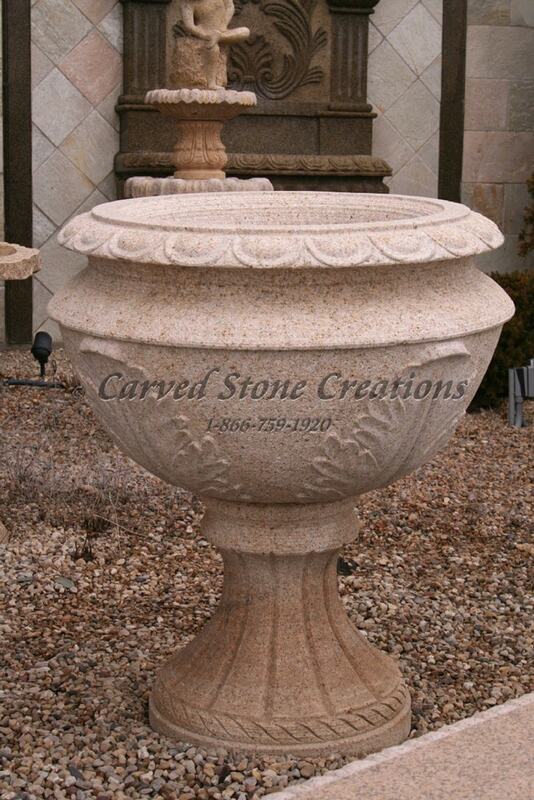 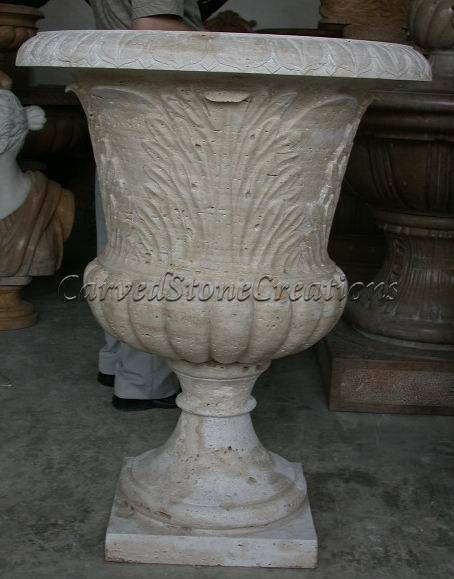 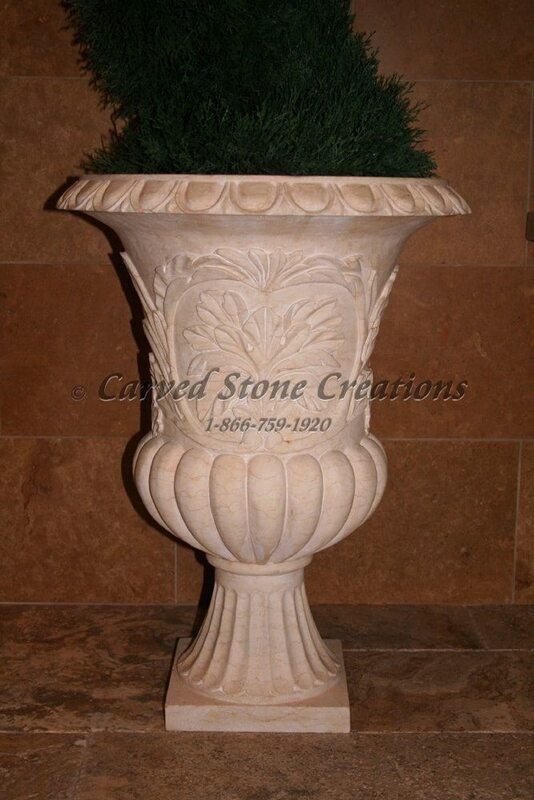 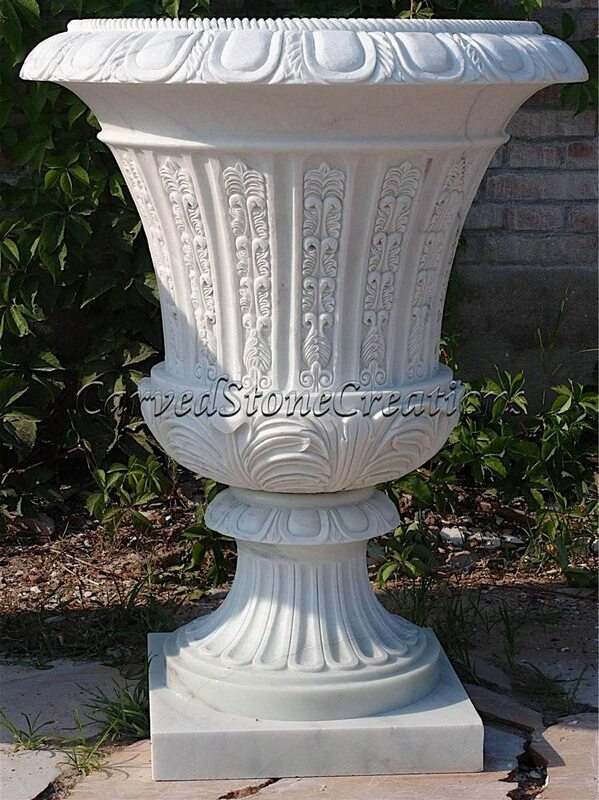 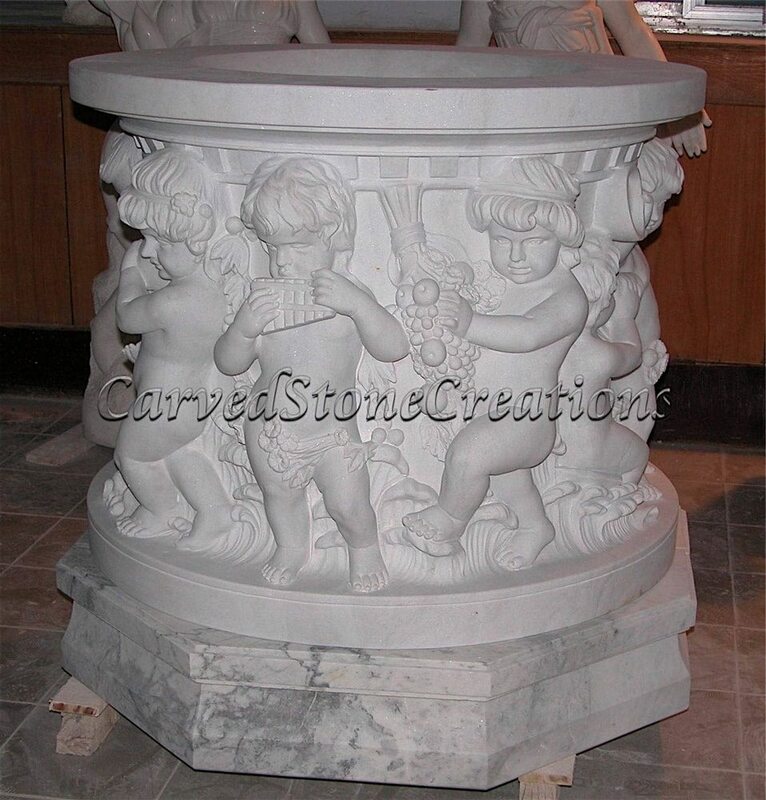 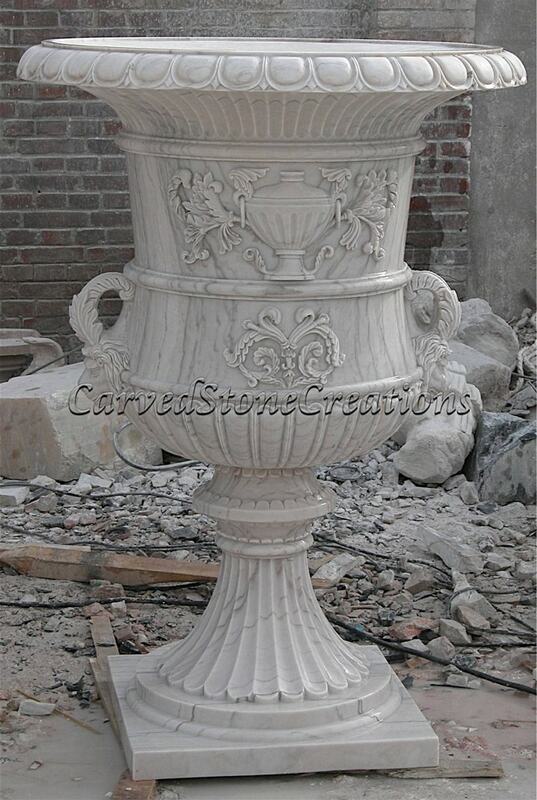 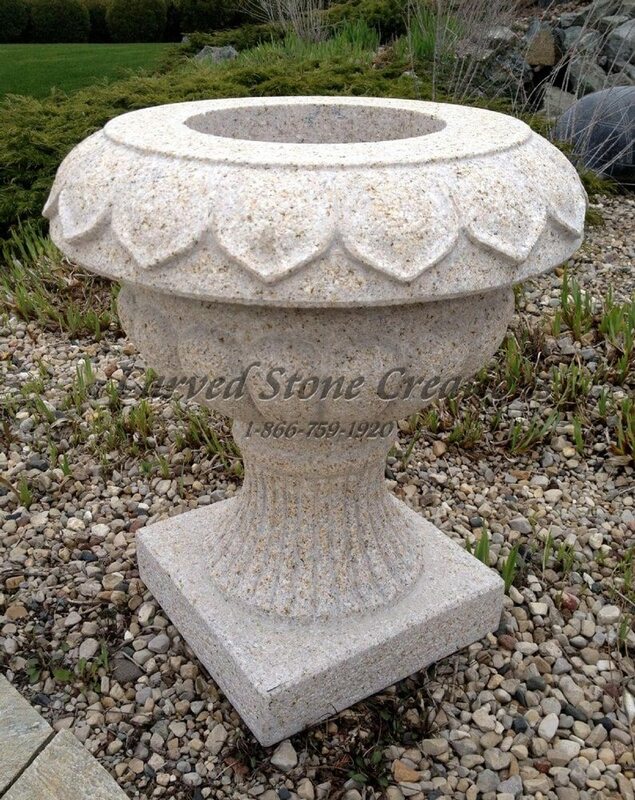 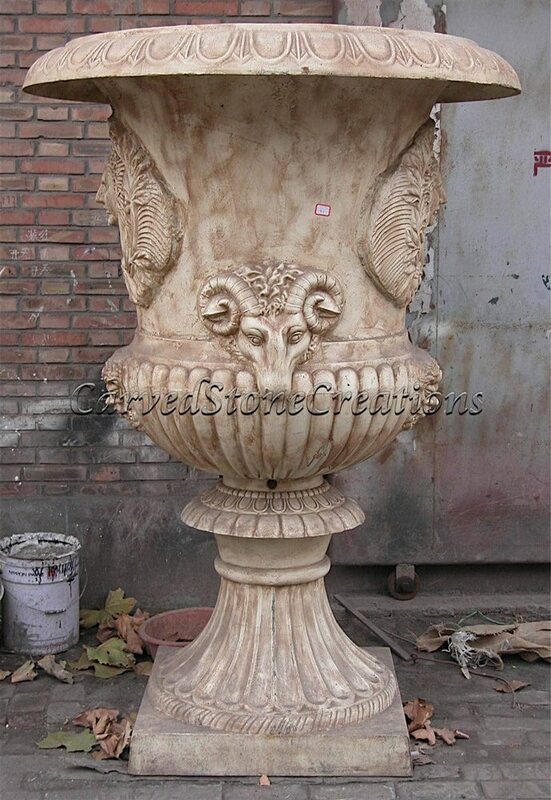 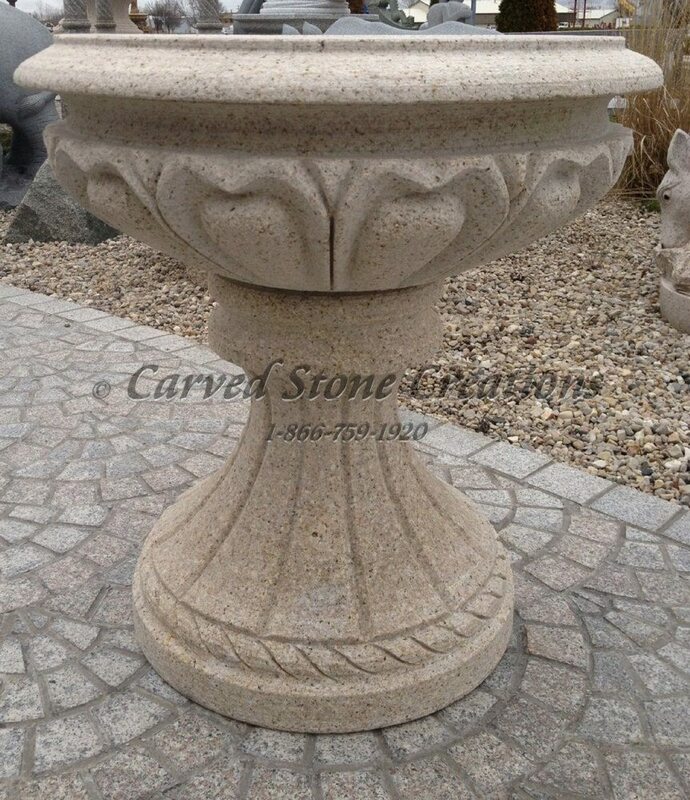 Large granite two-tier flower planter. 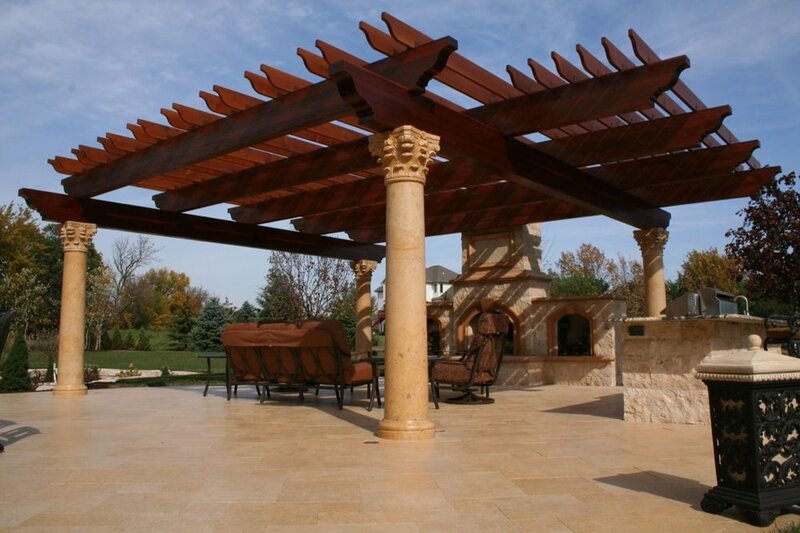 Outdoor fireplace & pergola with wood trellis frame out this elegant outdoor living area. 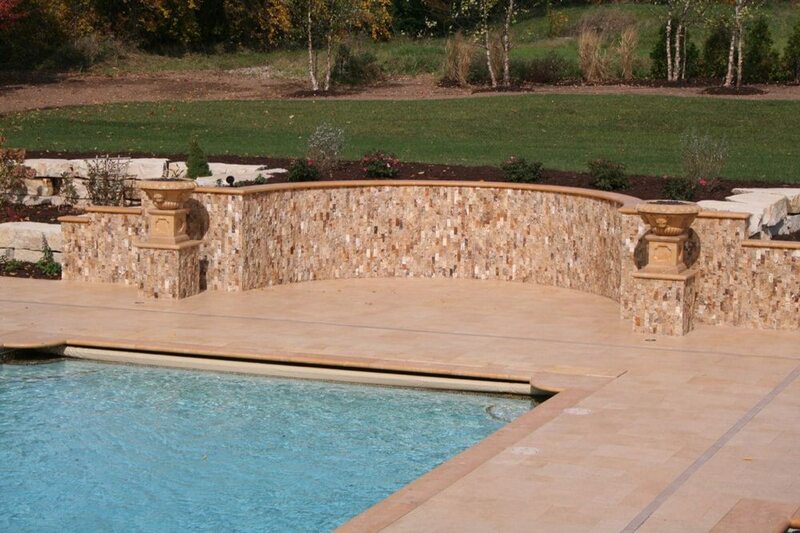 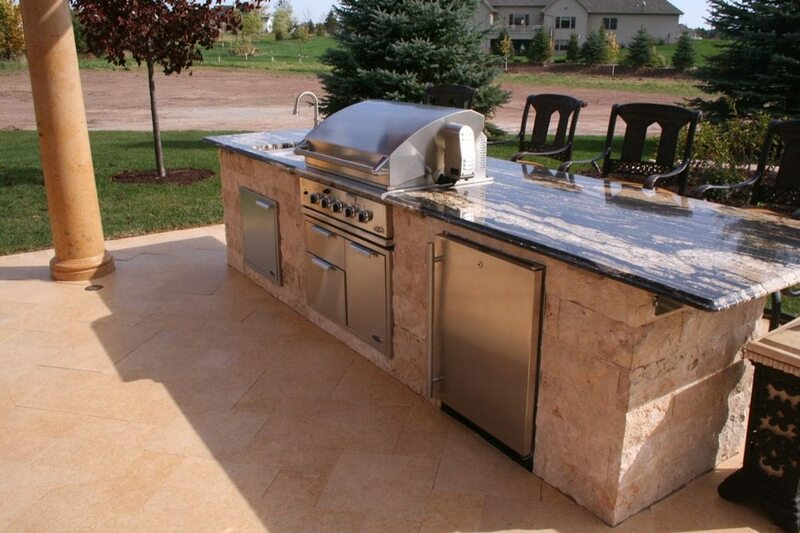 Outdoor Kitchen with limestone pavers, travertine wall stone and granite counters. 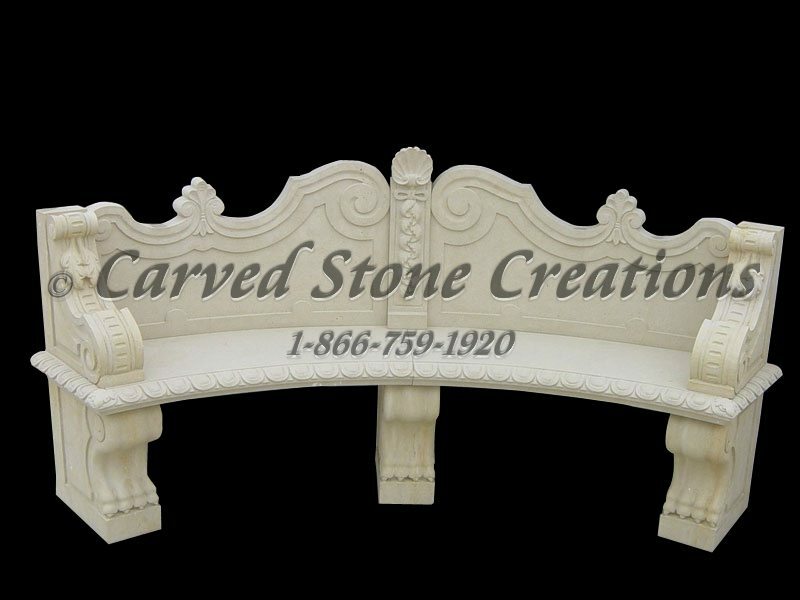 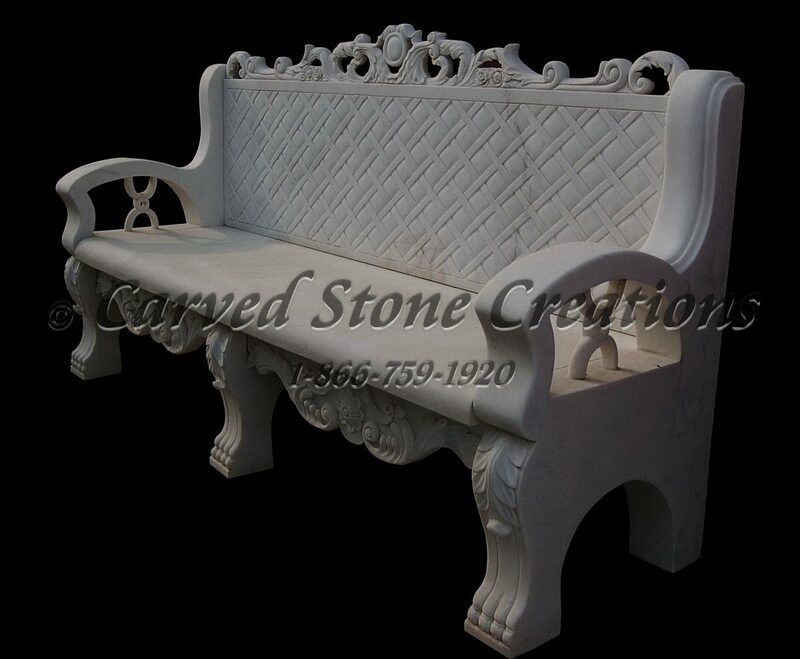 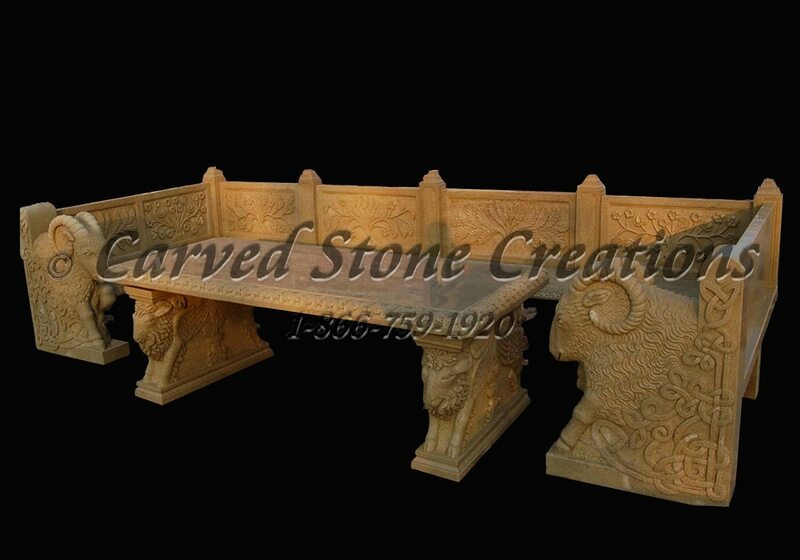 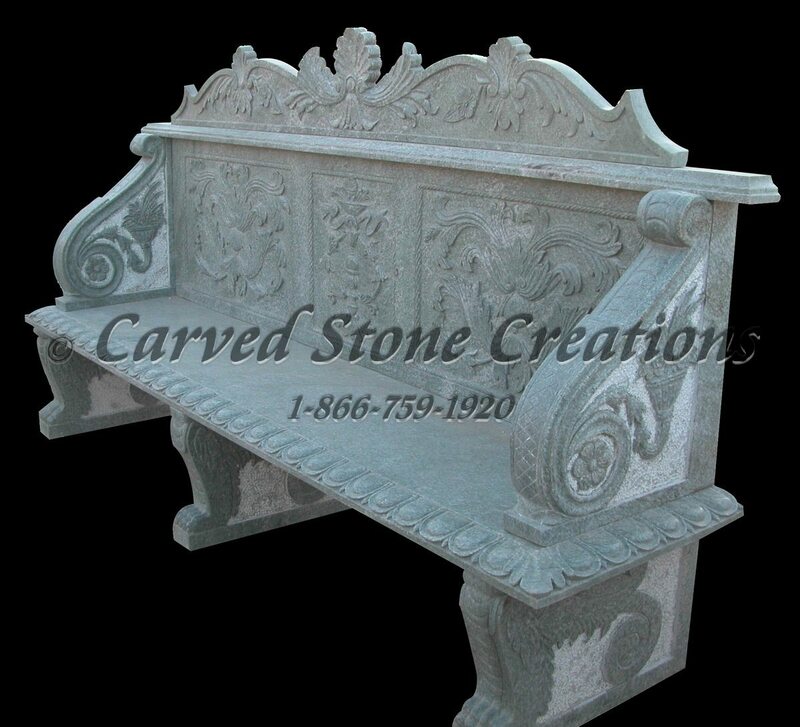 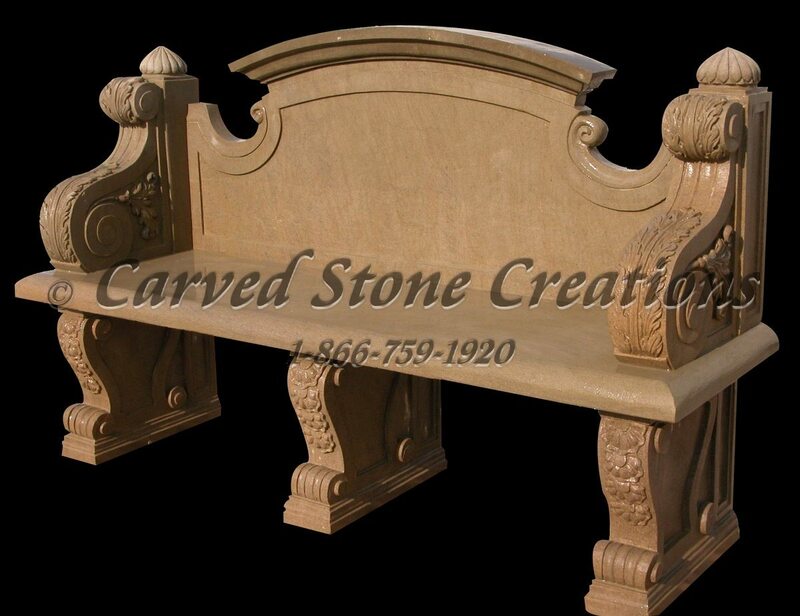 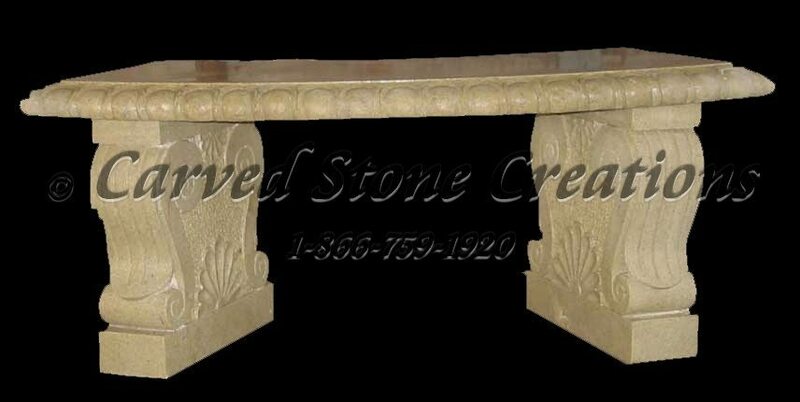 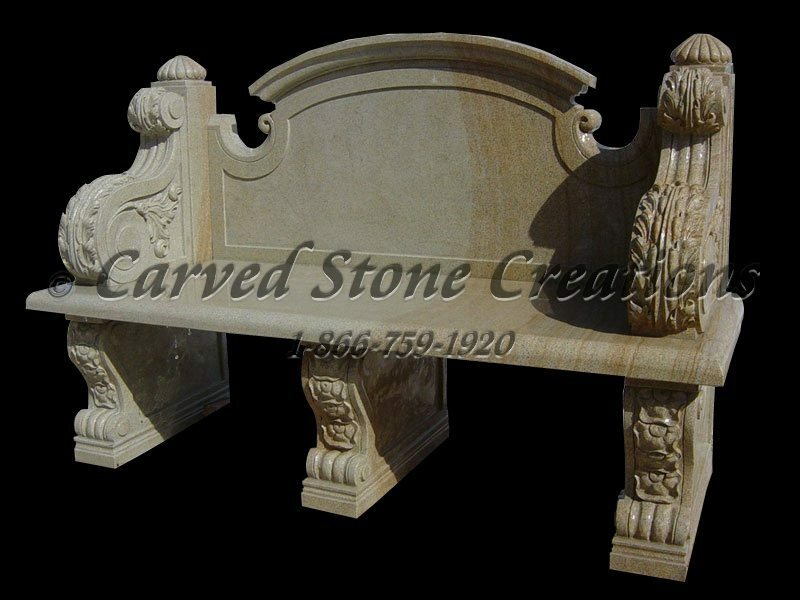 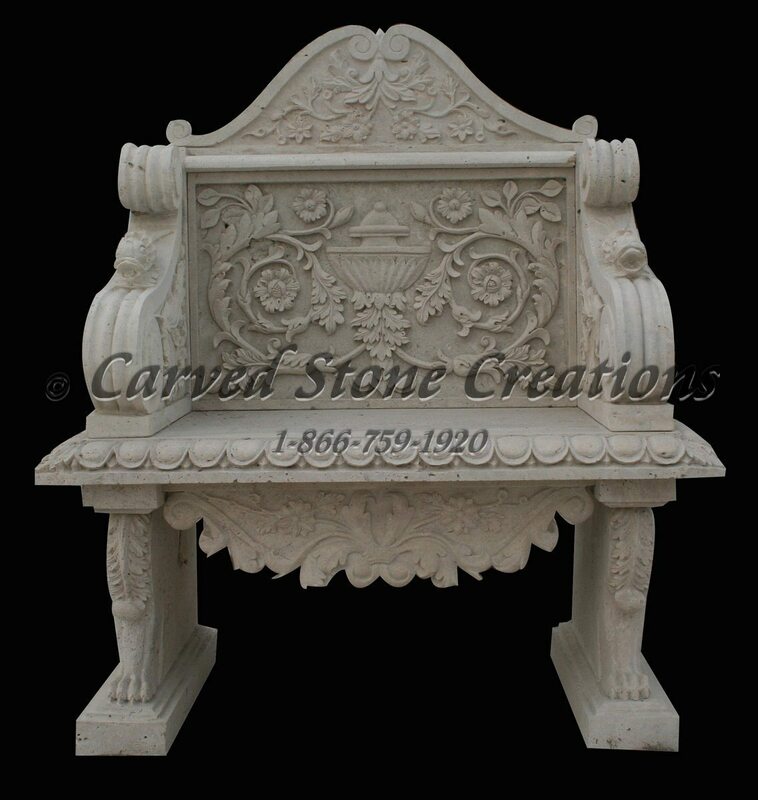 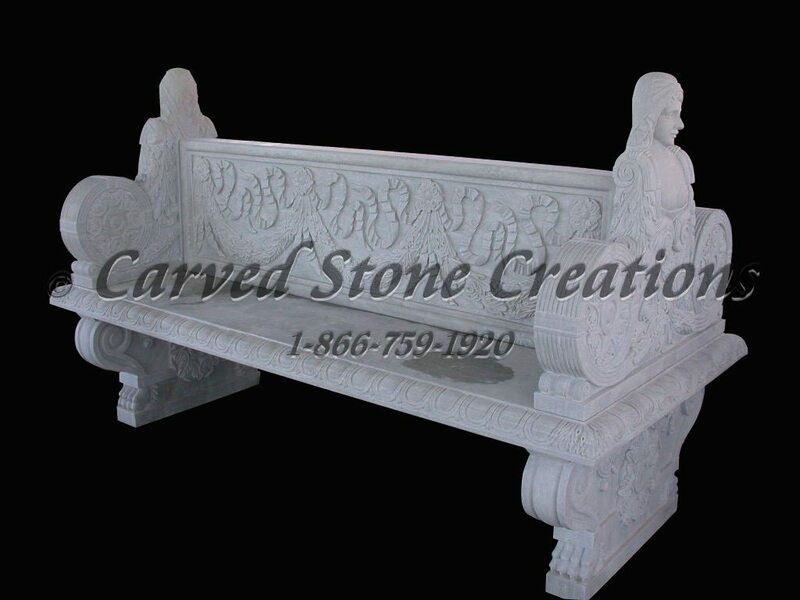 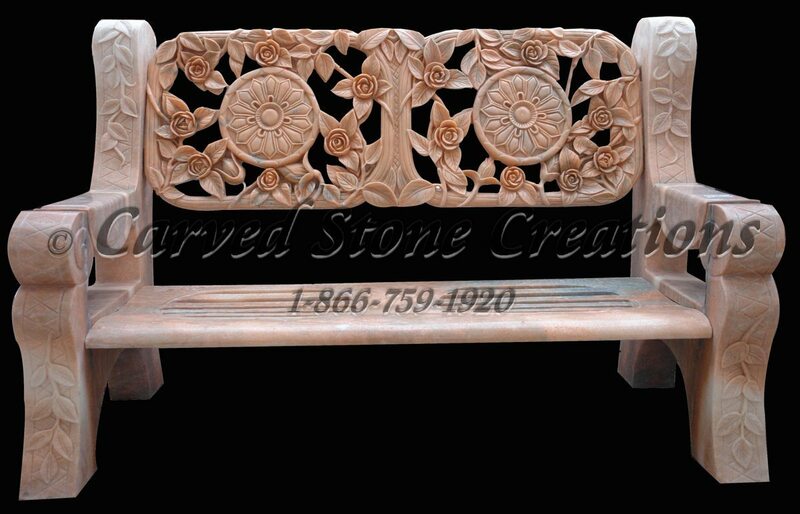 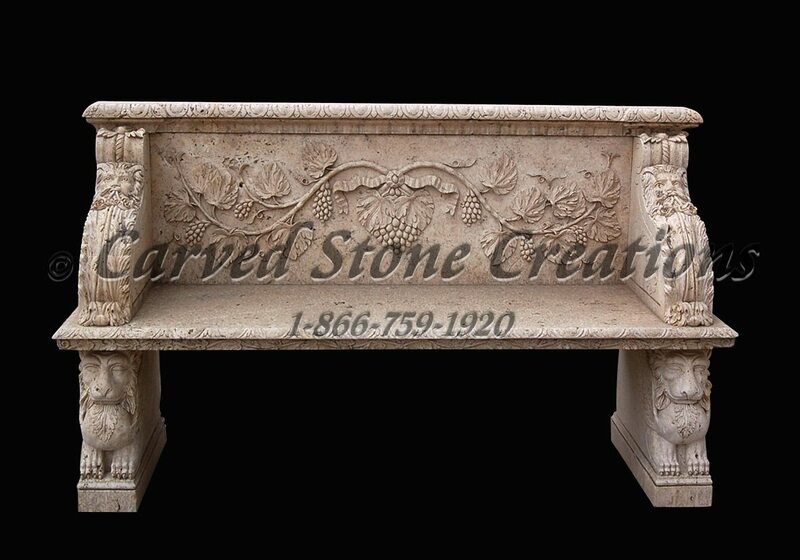 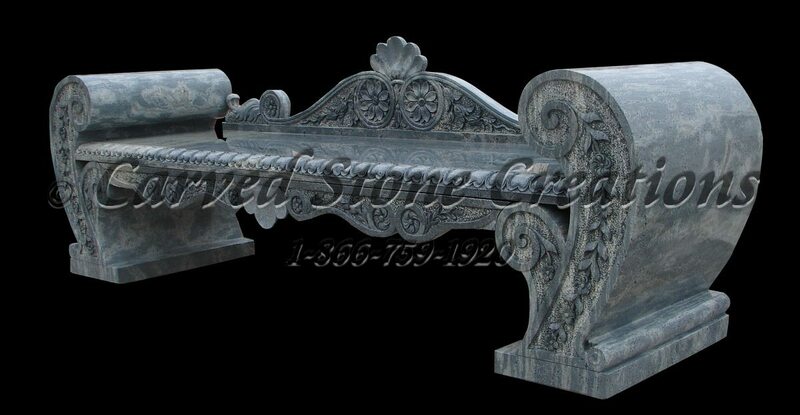 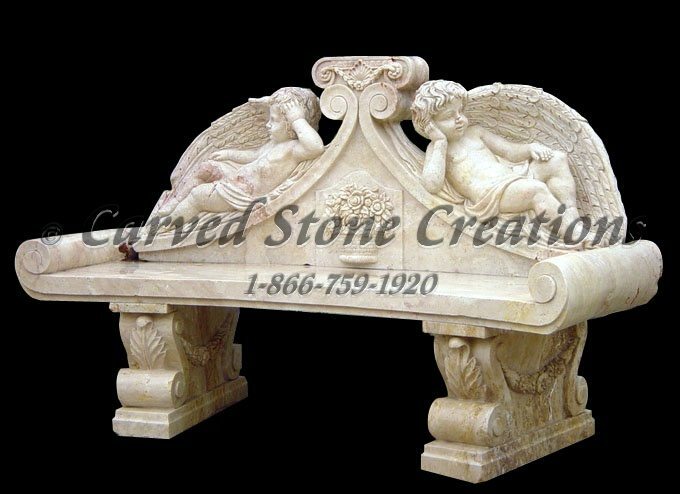 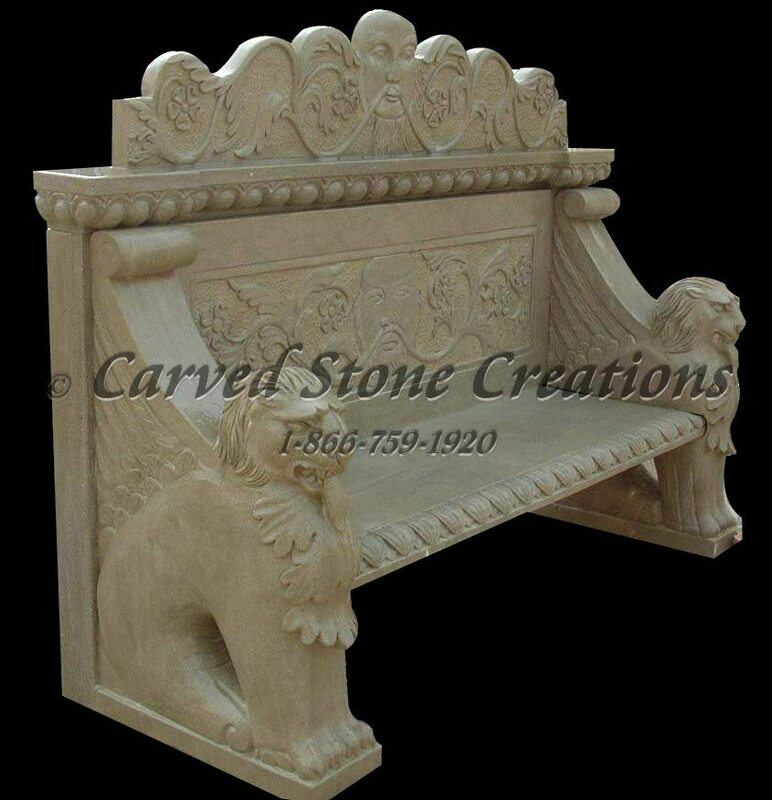 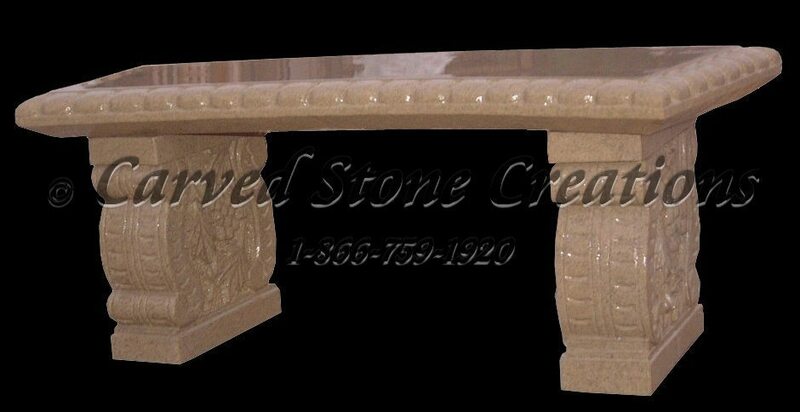 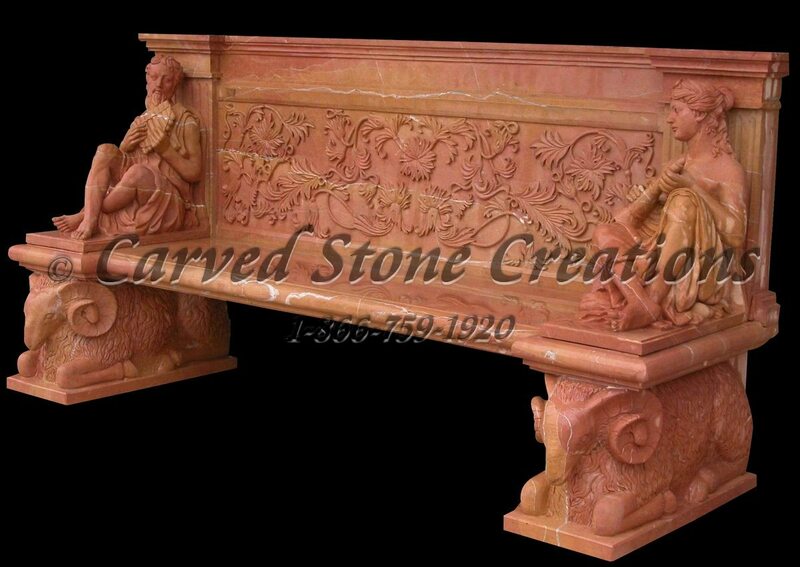 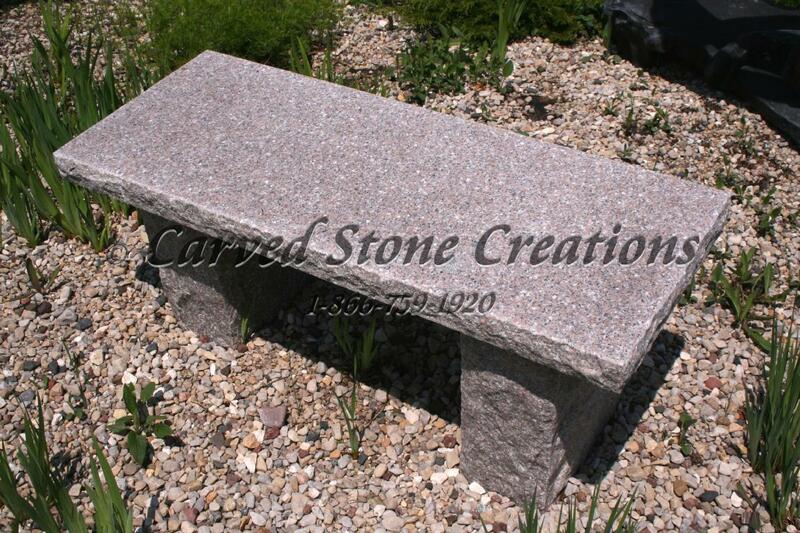 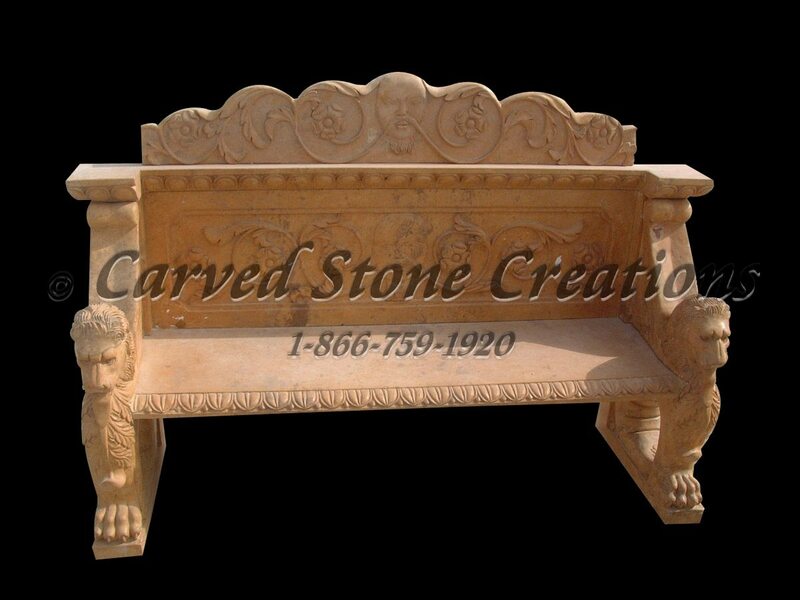 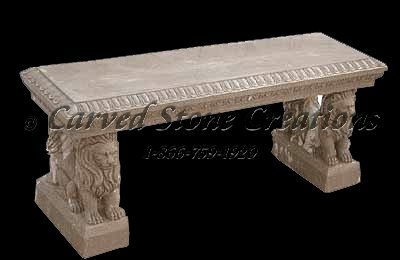 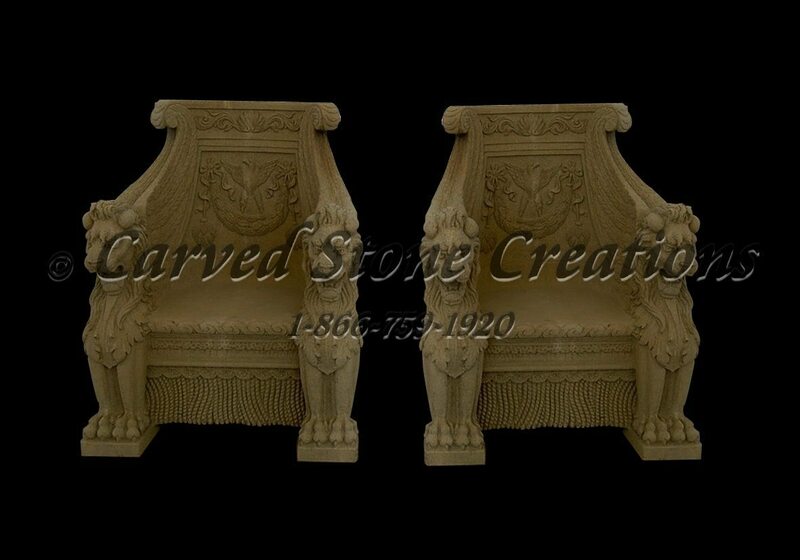 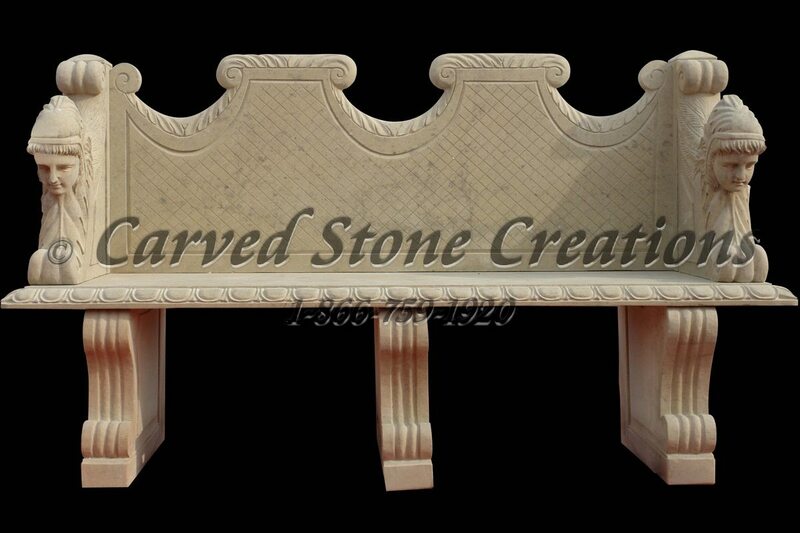 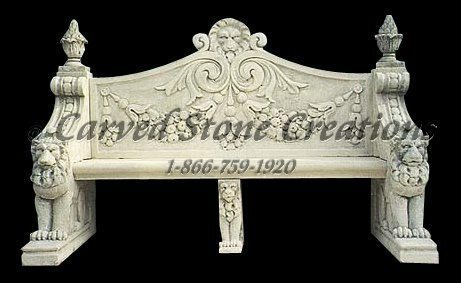 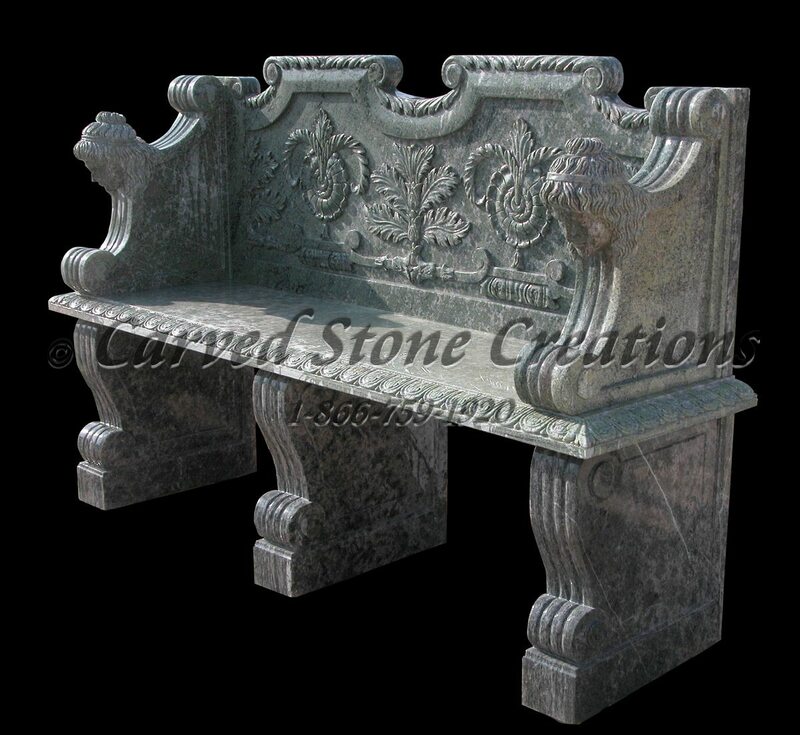 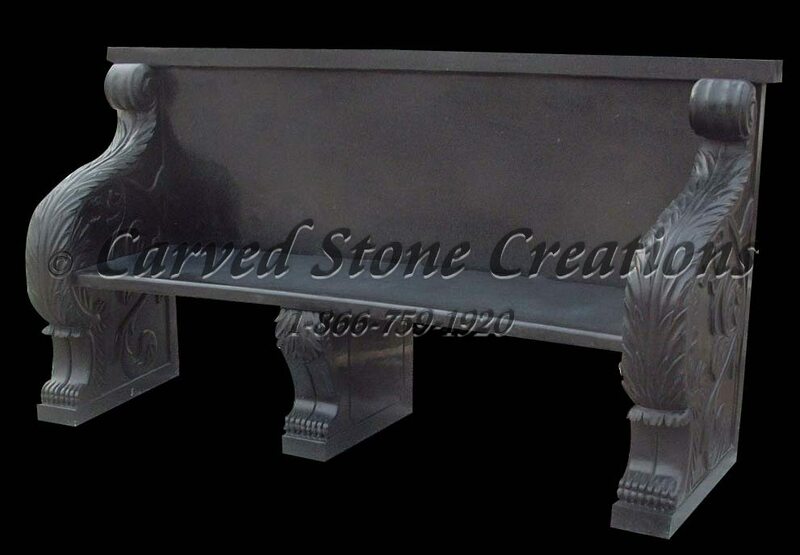 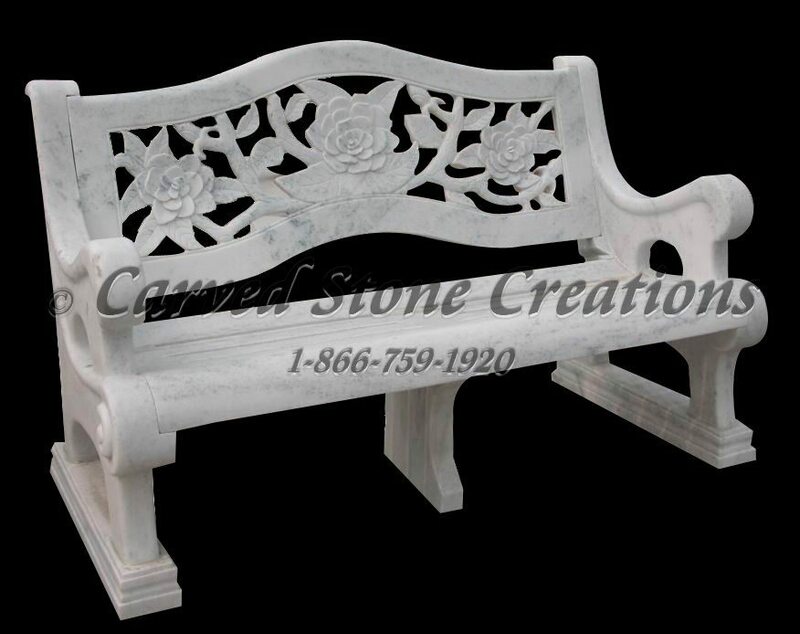 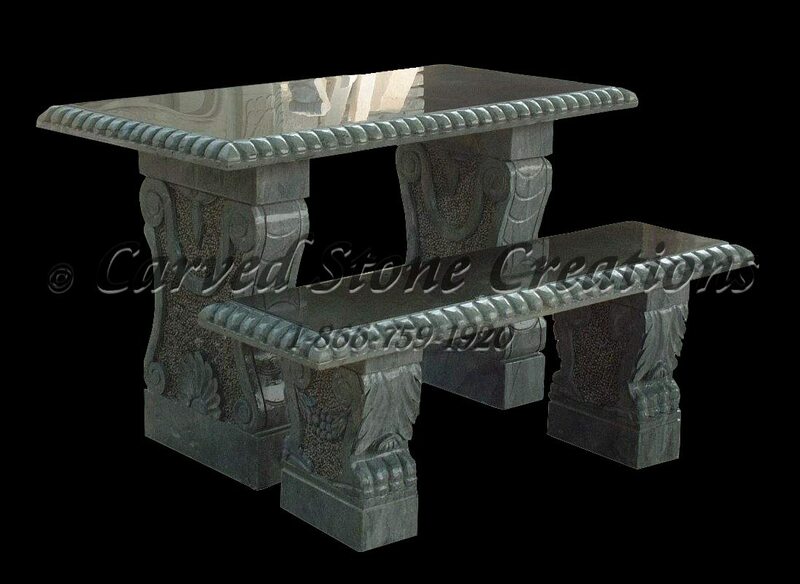 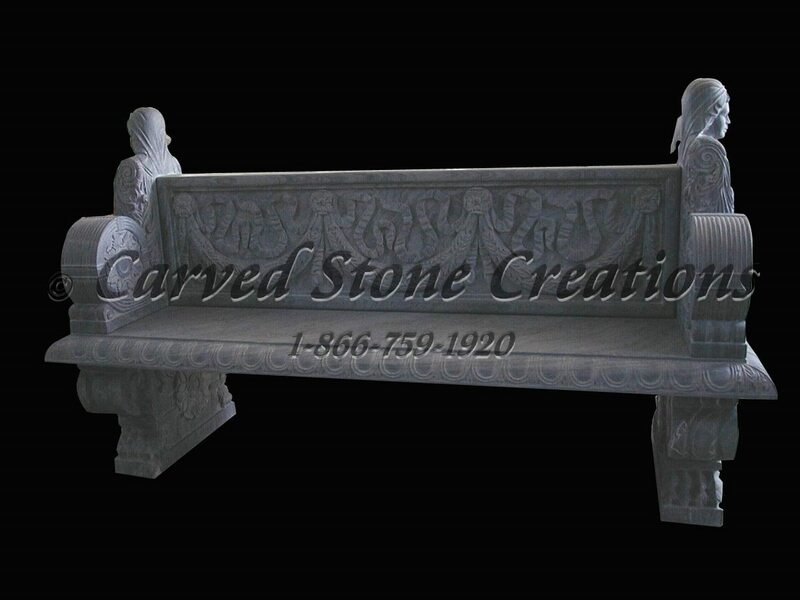 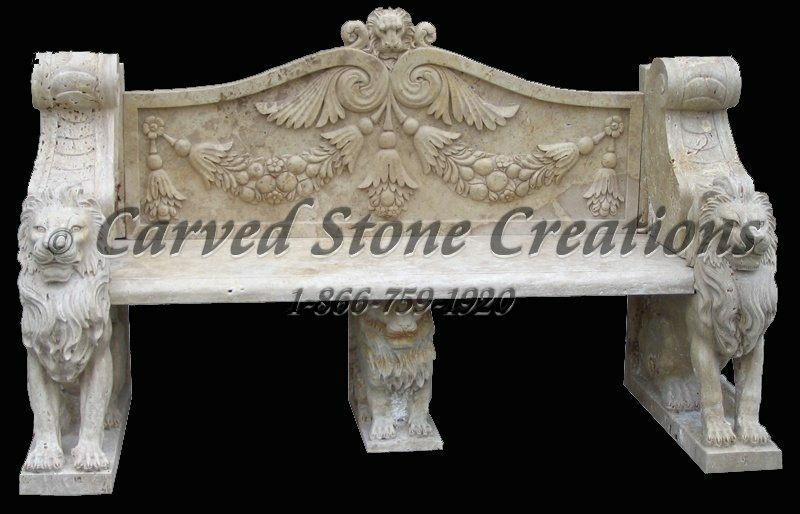 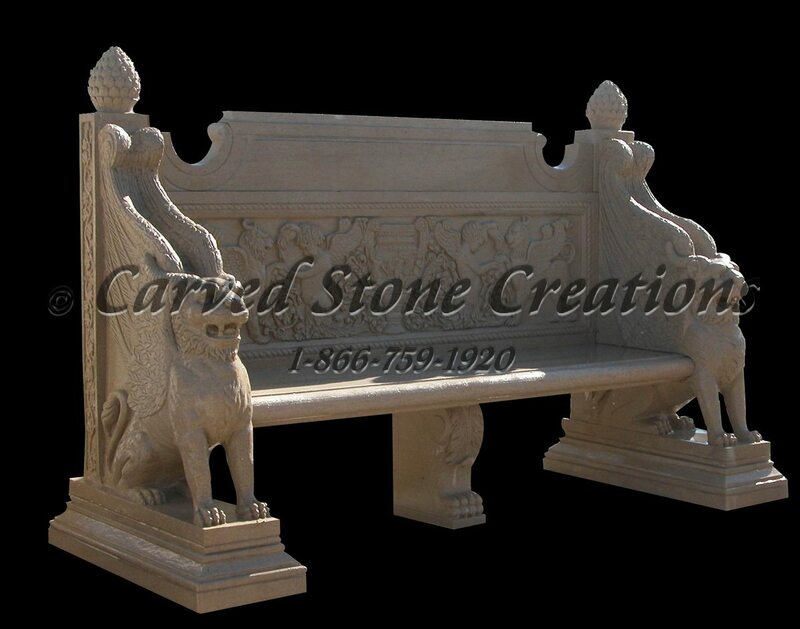 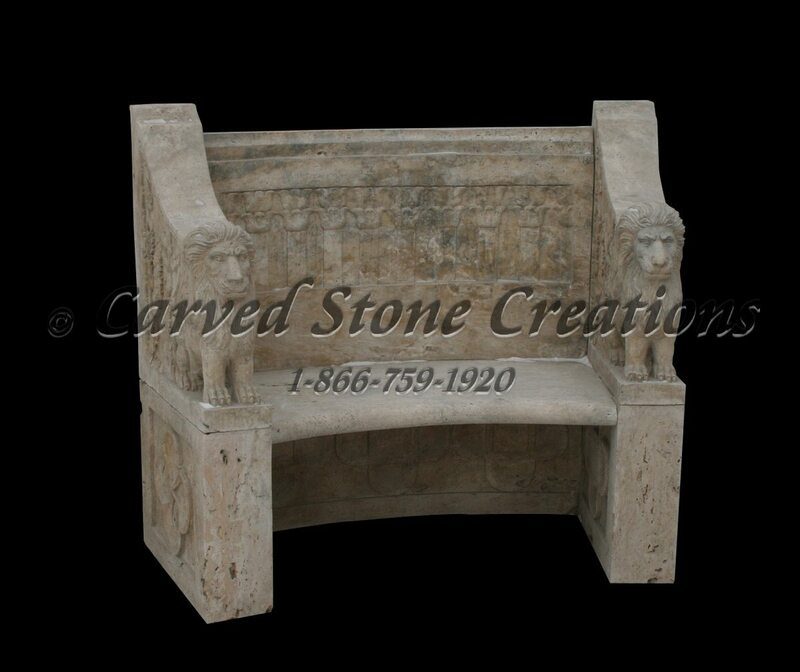 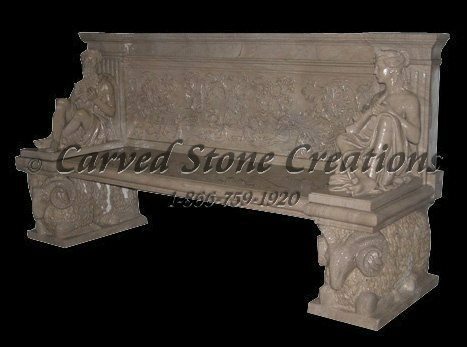 Decorative carved stone garden bench. 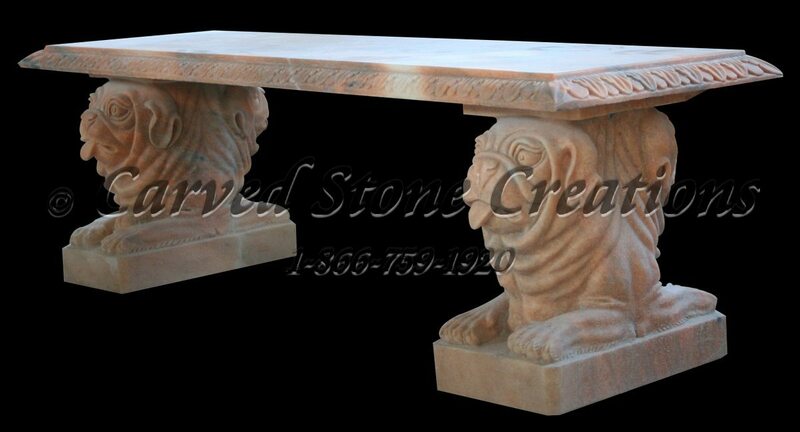 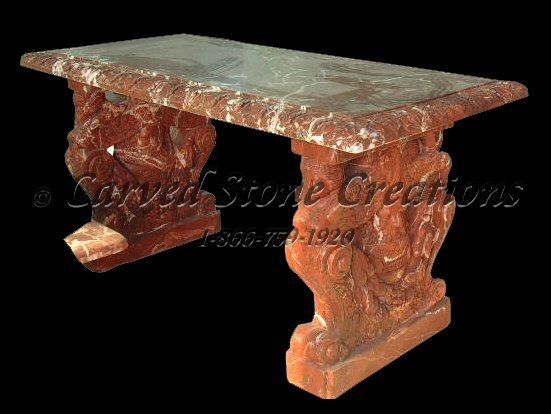 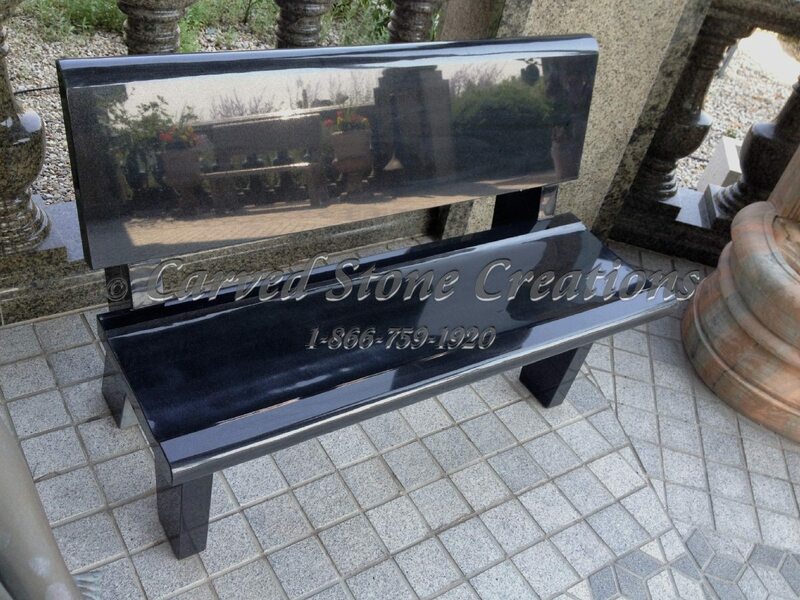 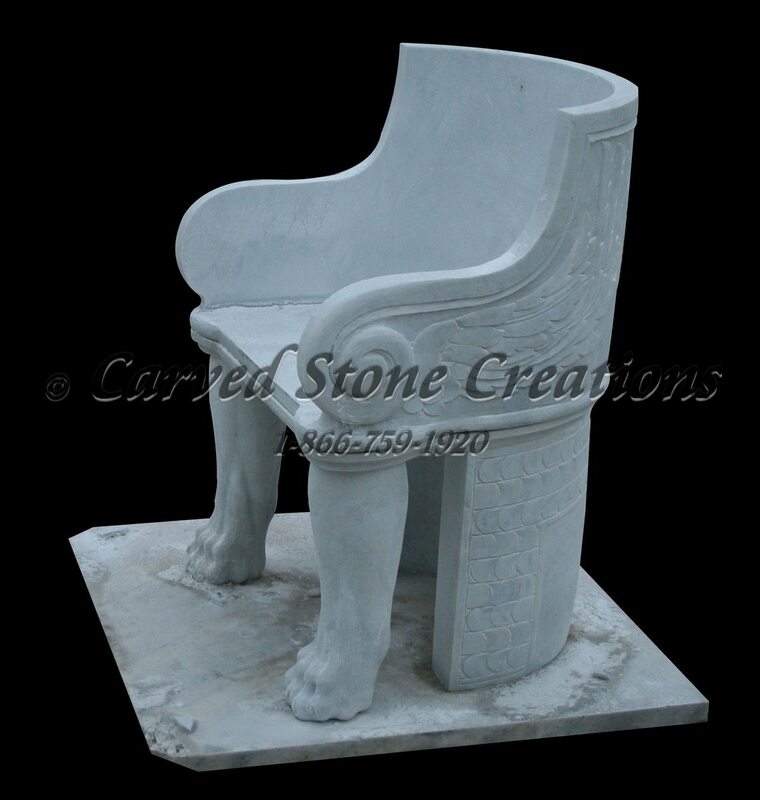 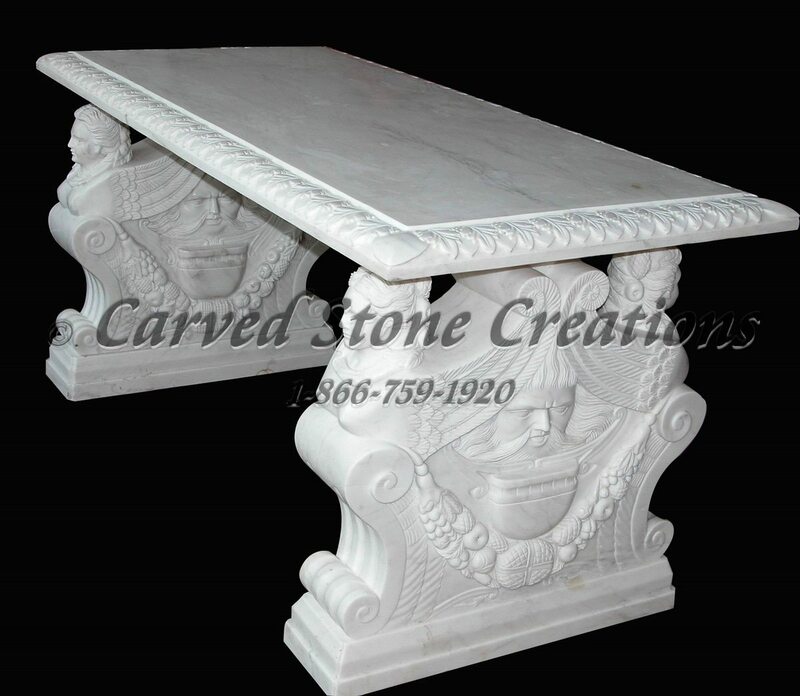 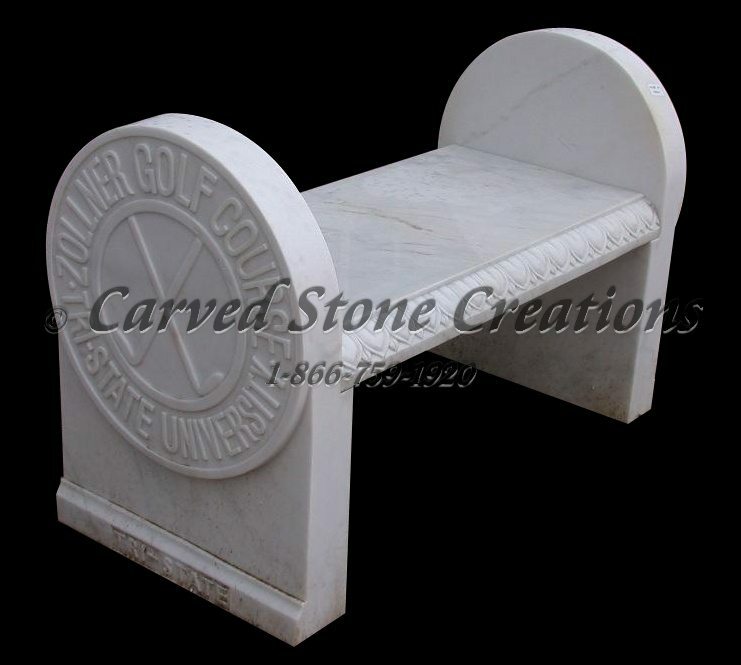 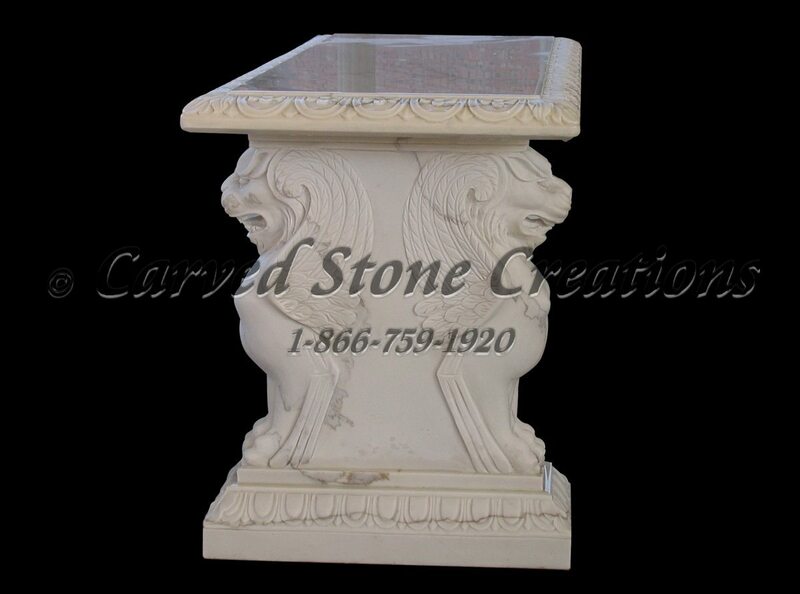 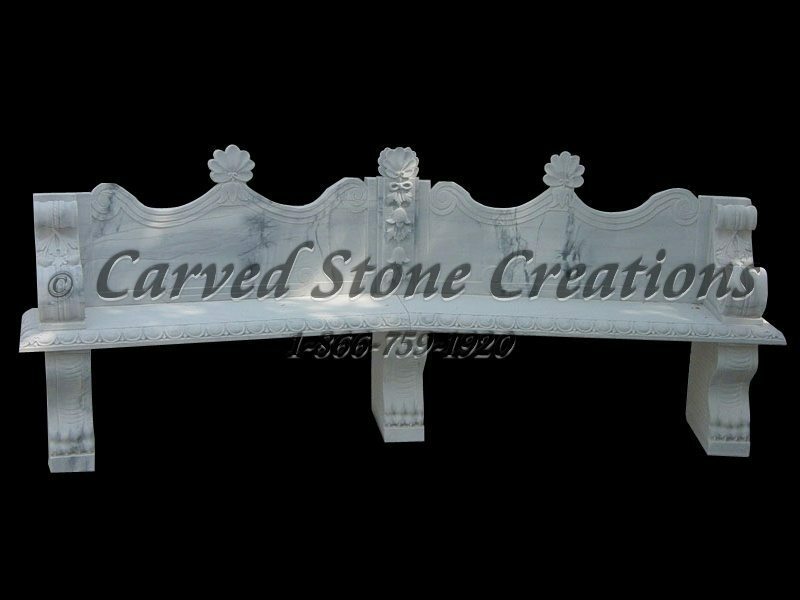 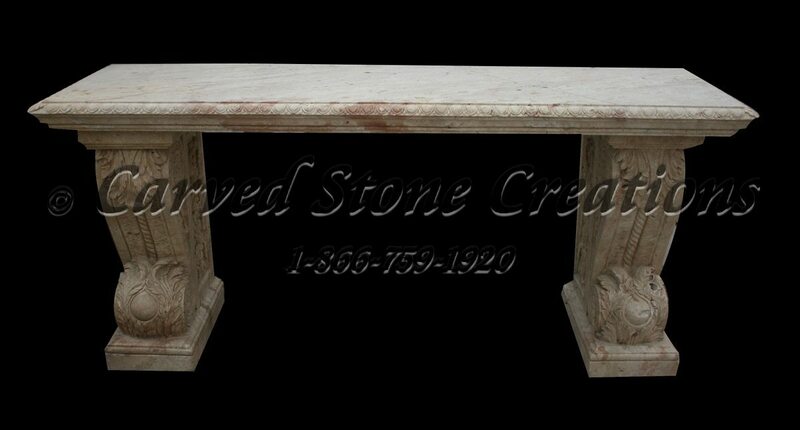 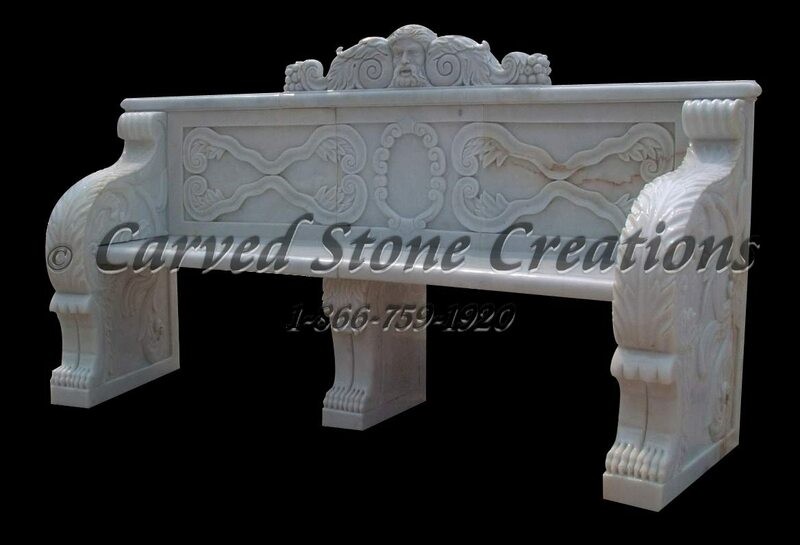 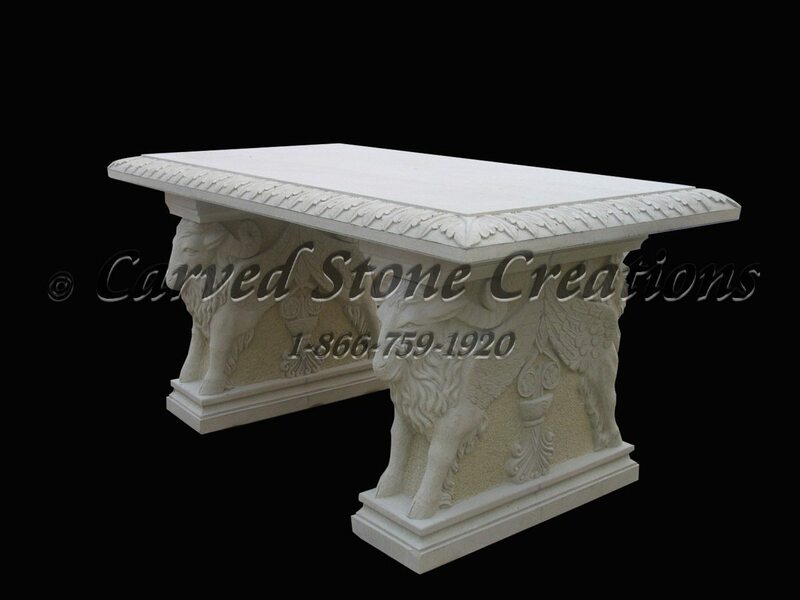 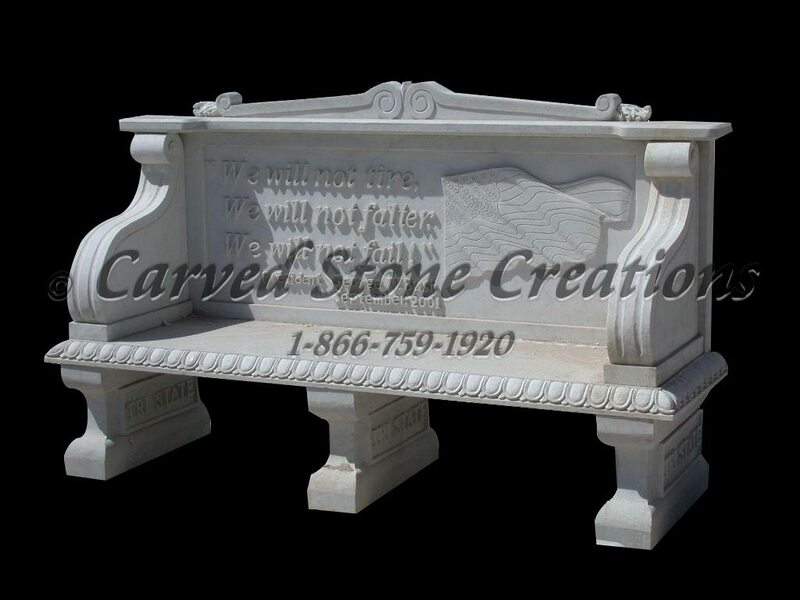 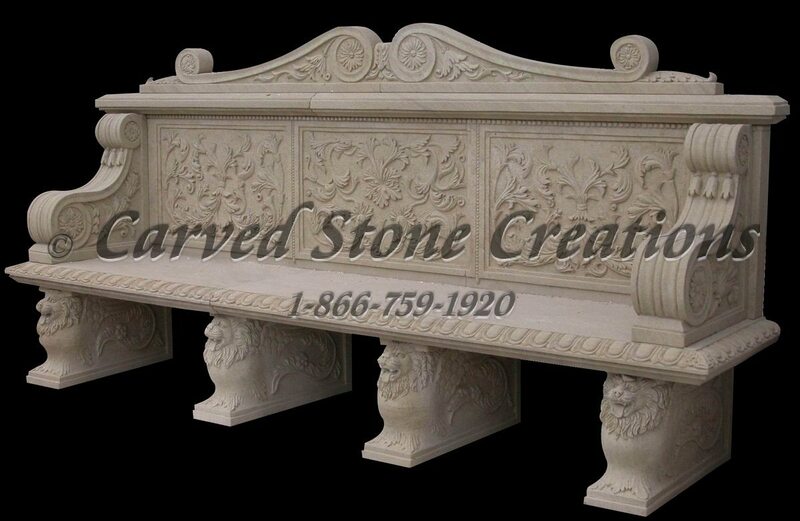 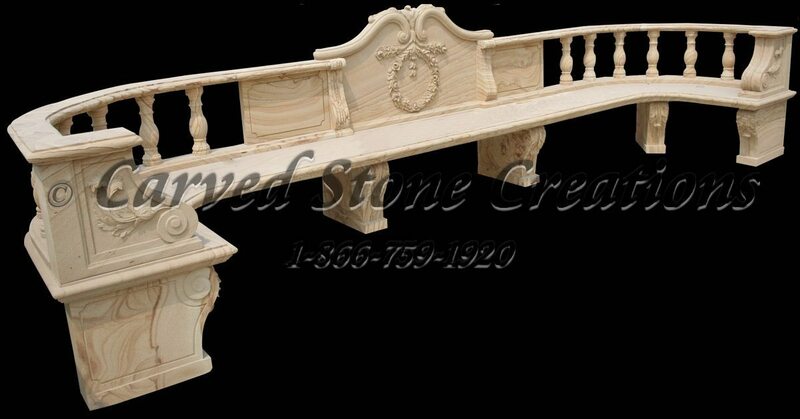 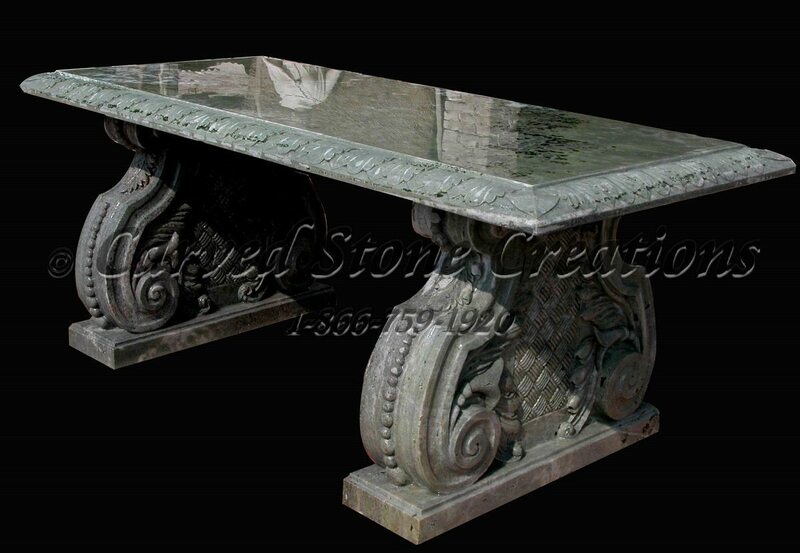 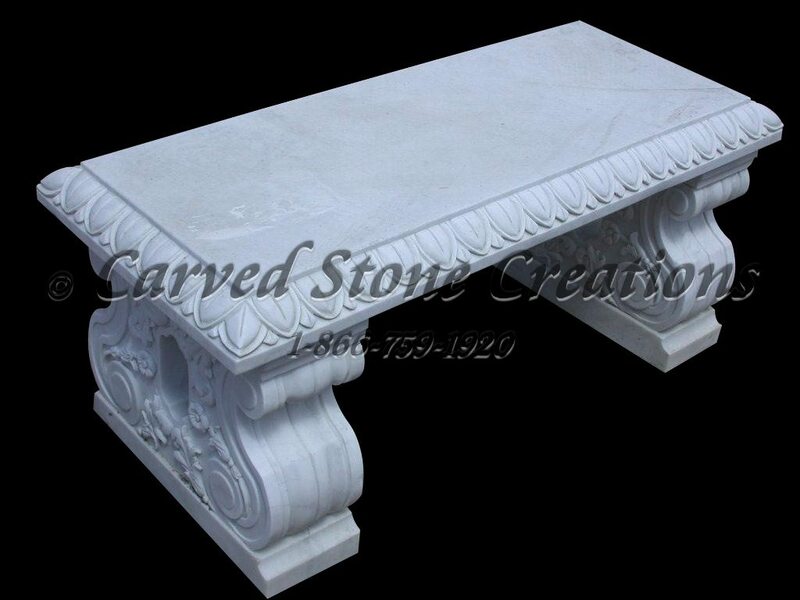 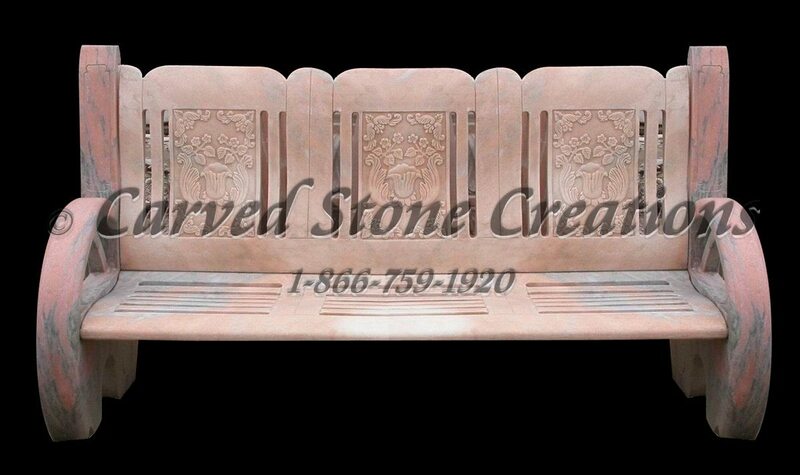 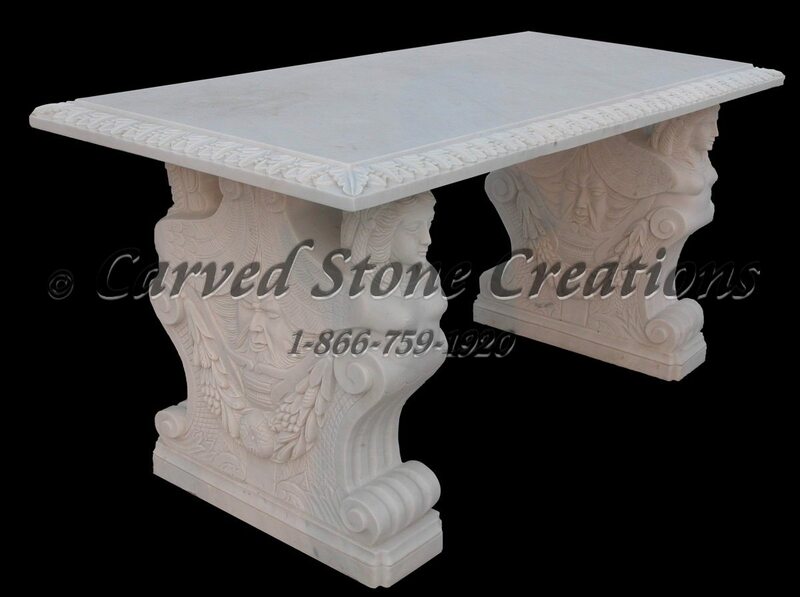 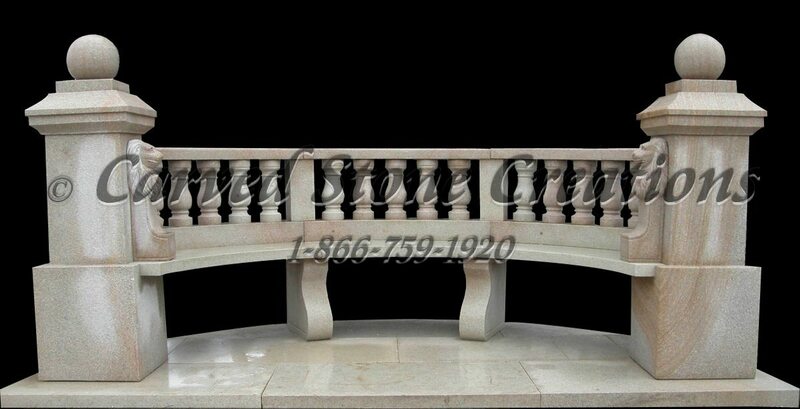 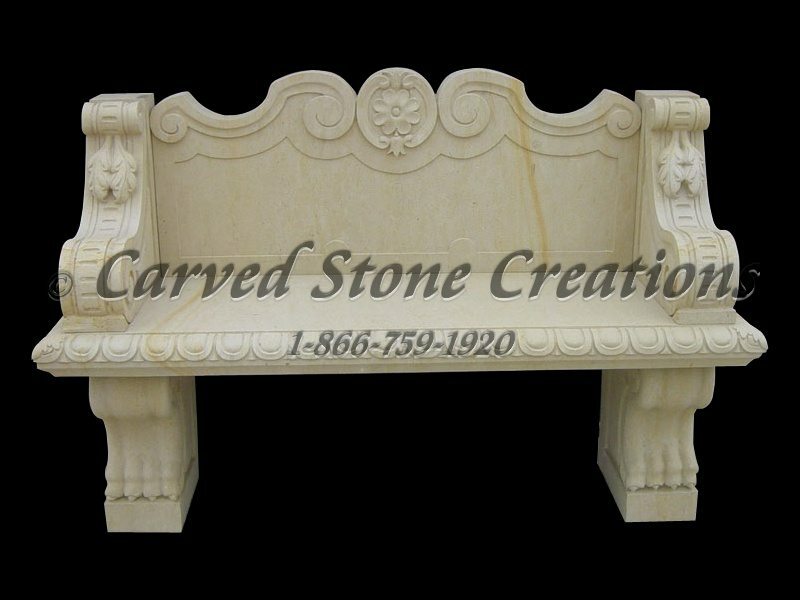 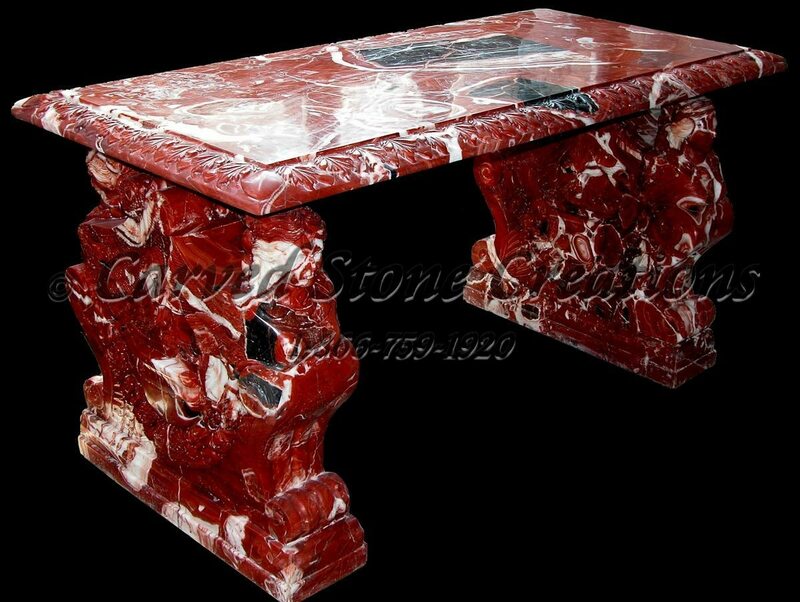 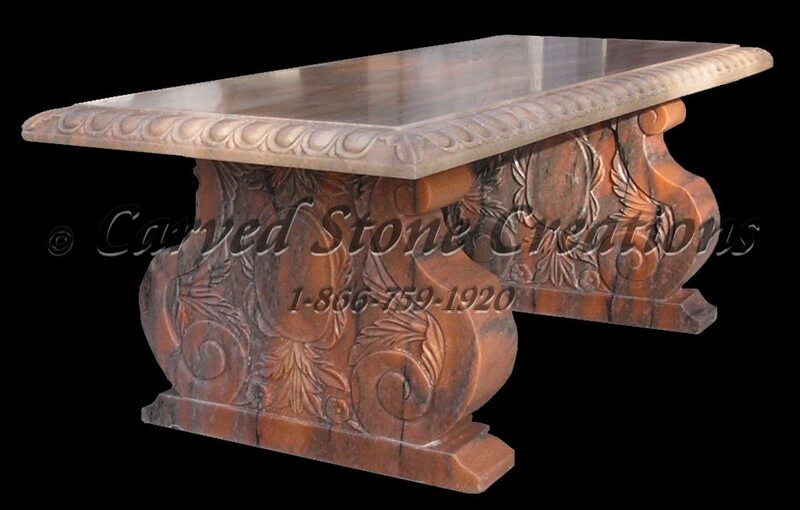 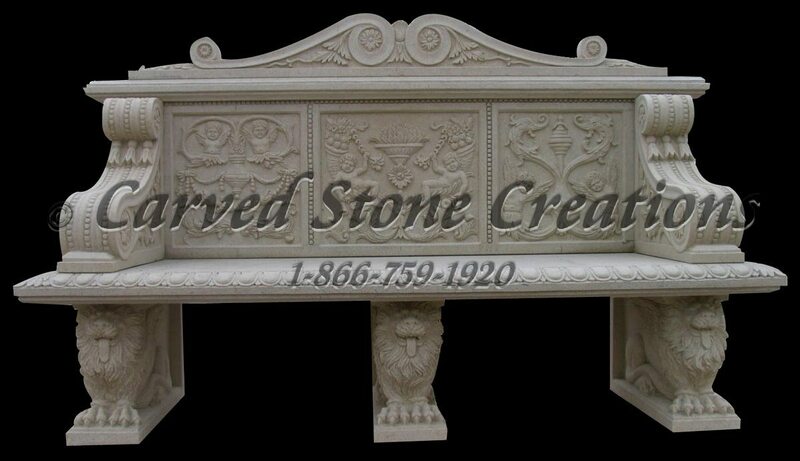 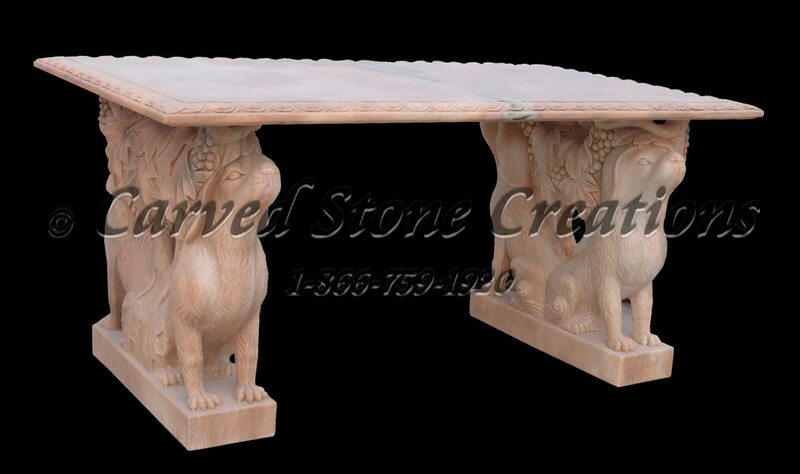 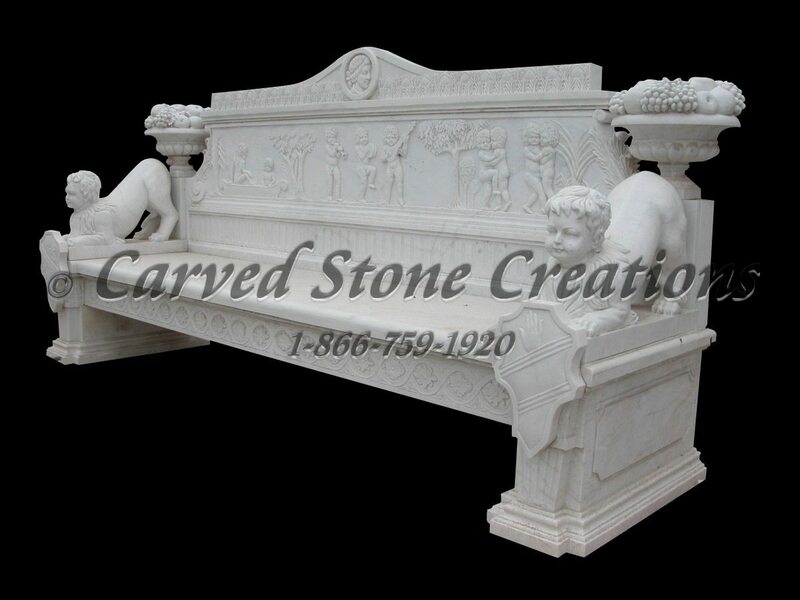 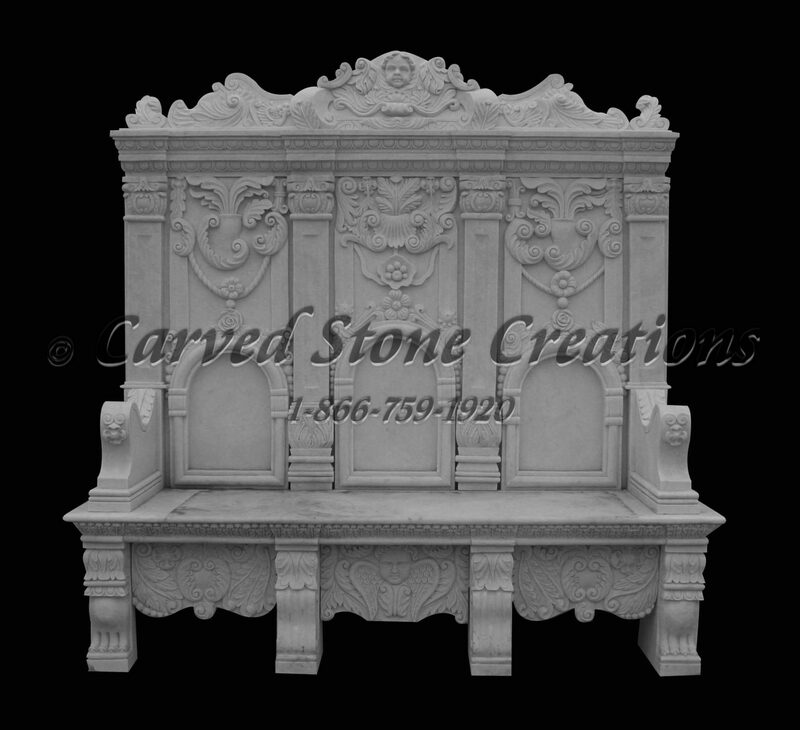 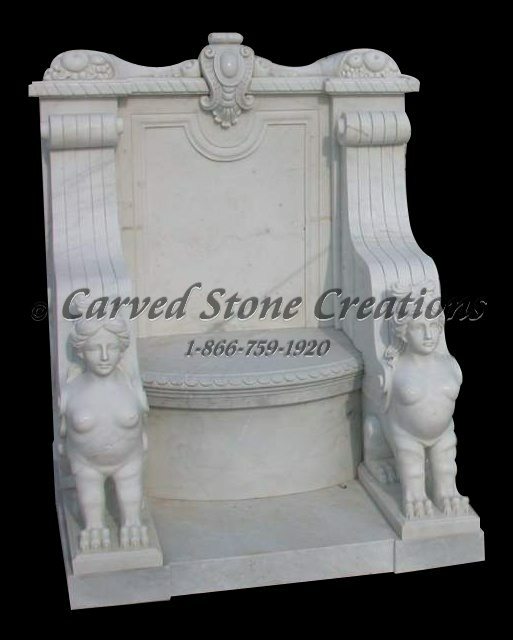 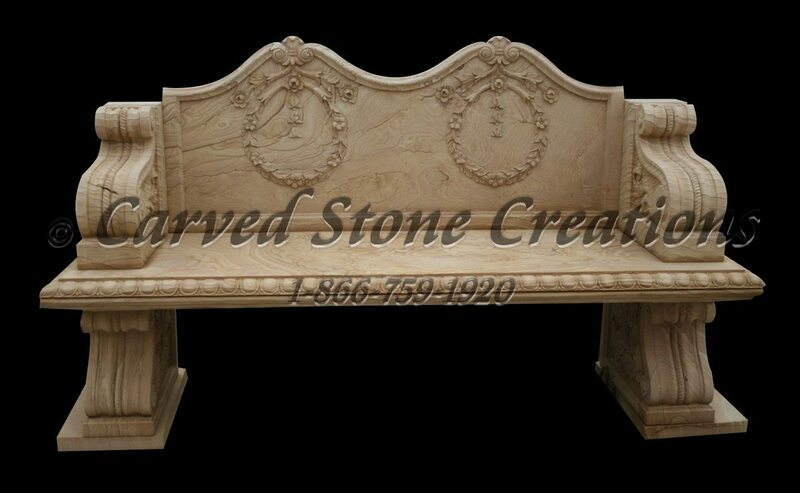 Carved marble or granite bench. 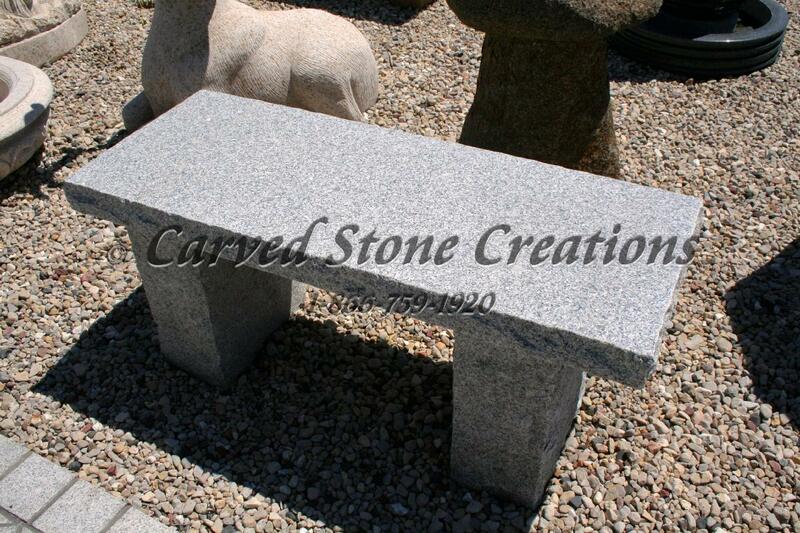 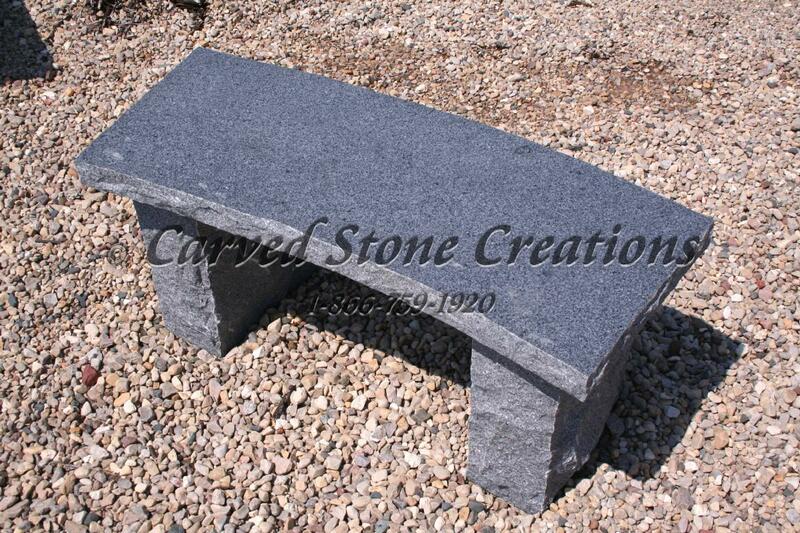 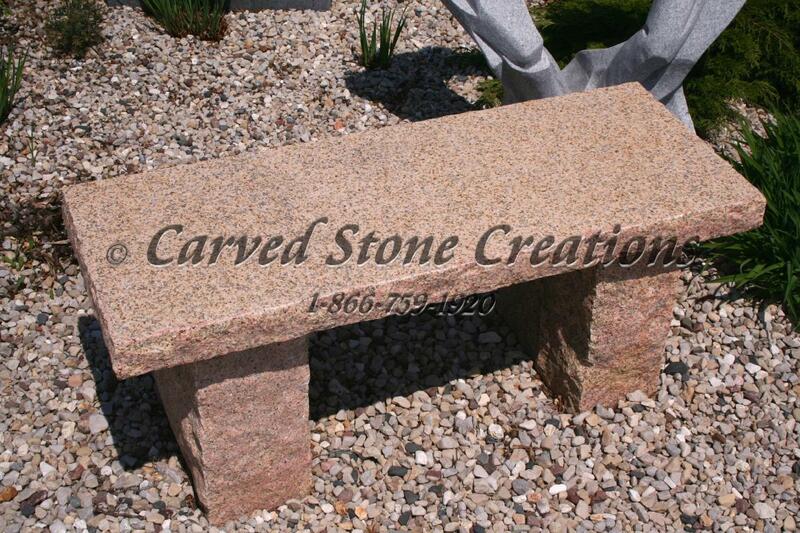 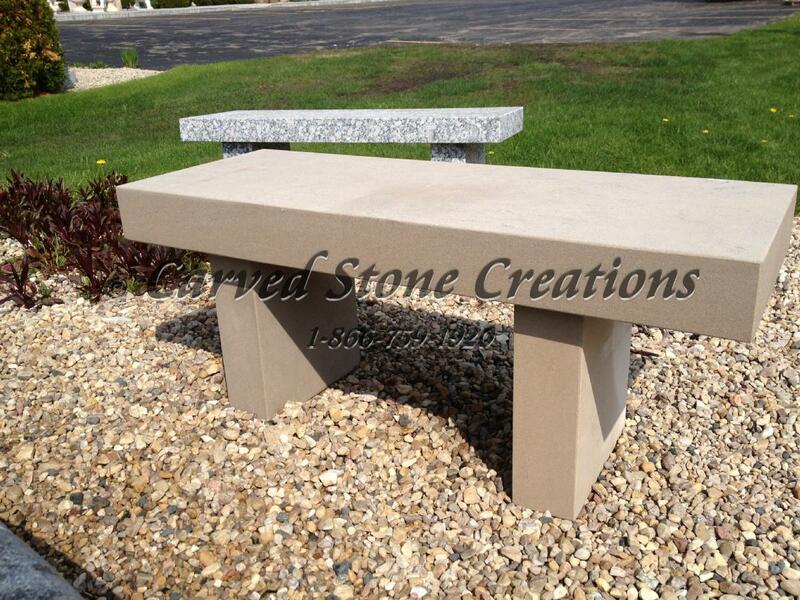 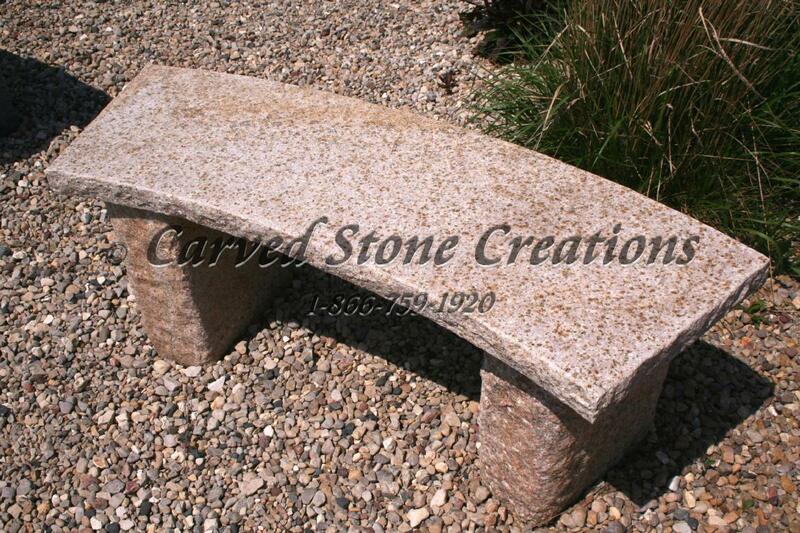 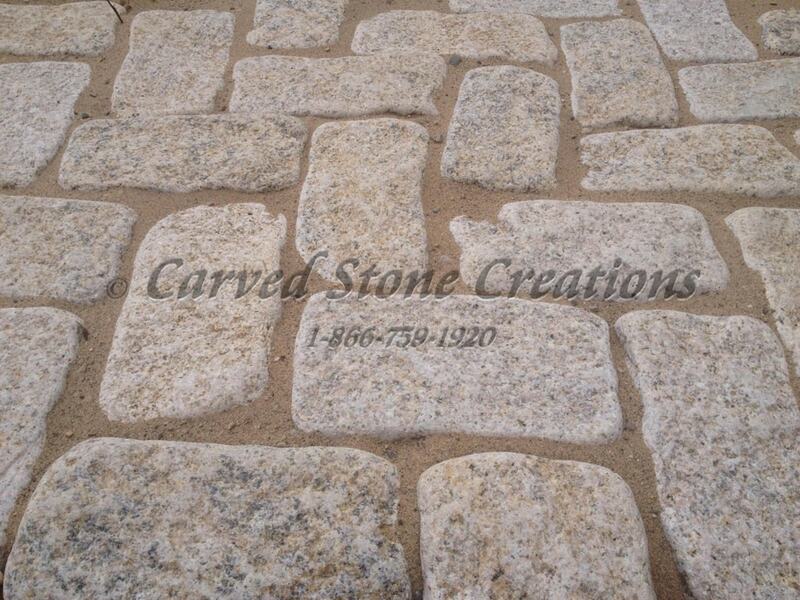 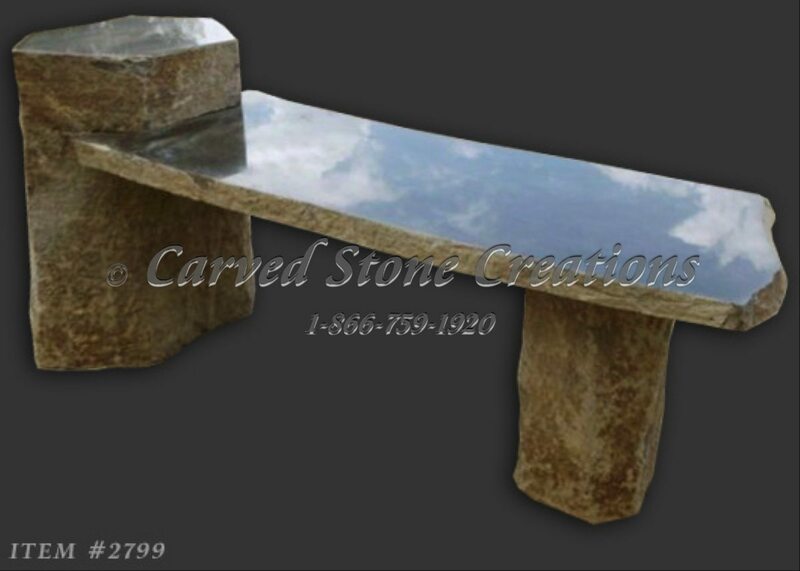 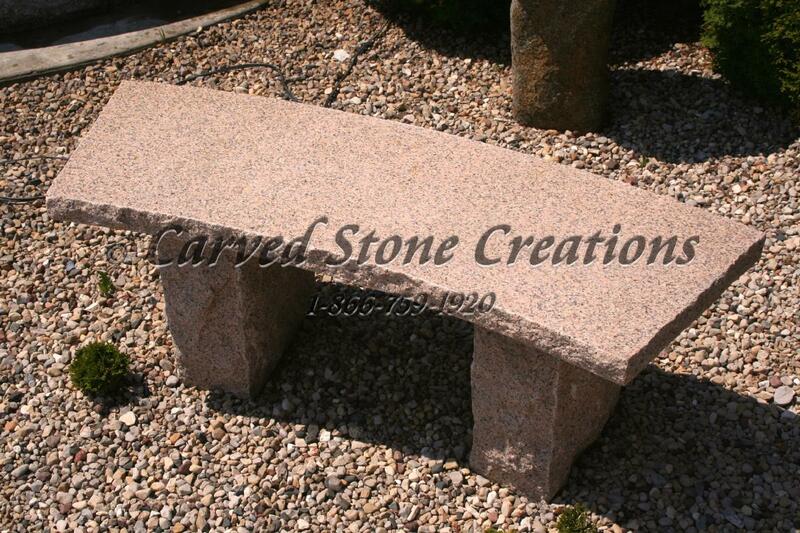 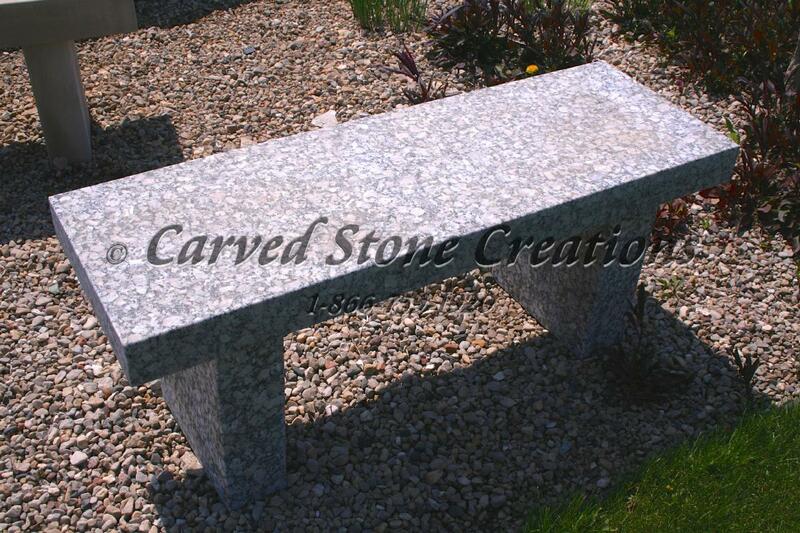 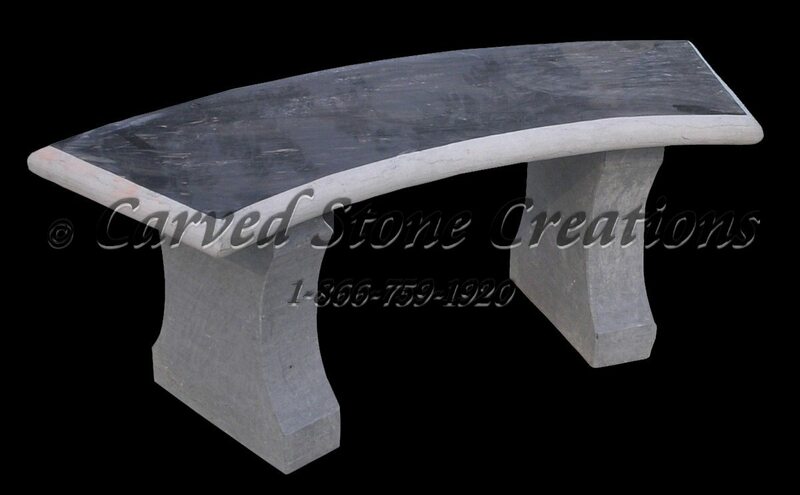 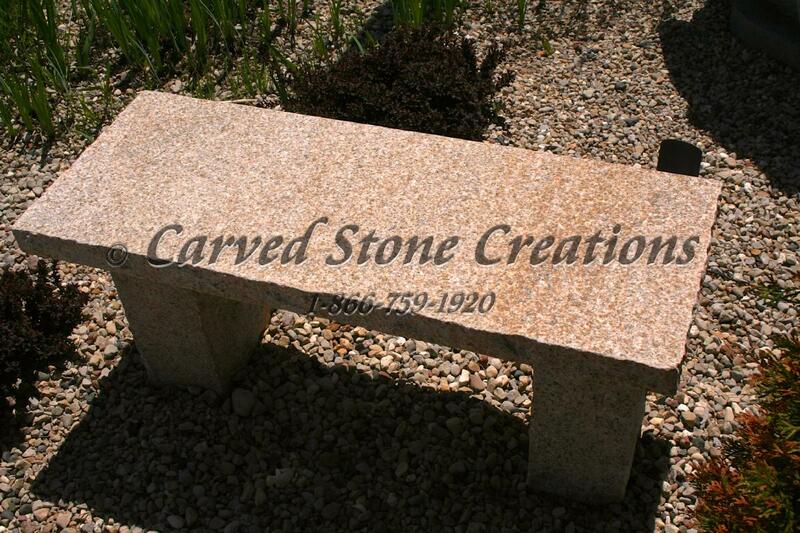 Rustic curved granite garden bench. 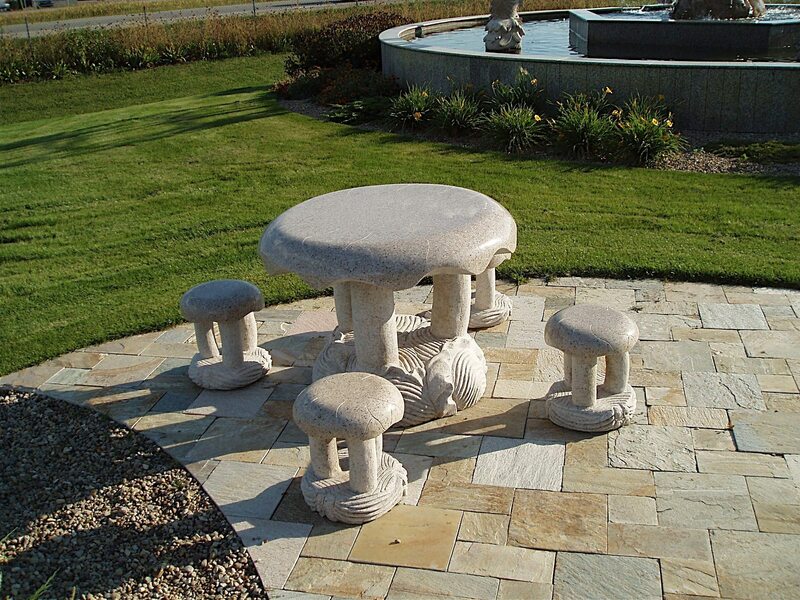 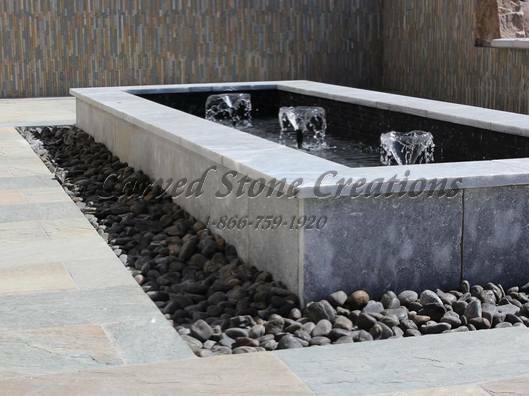 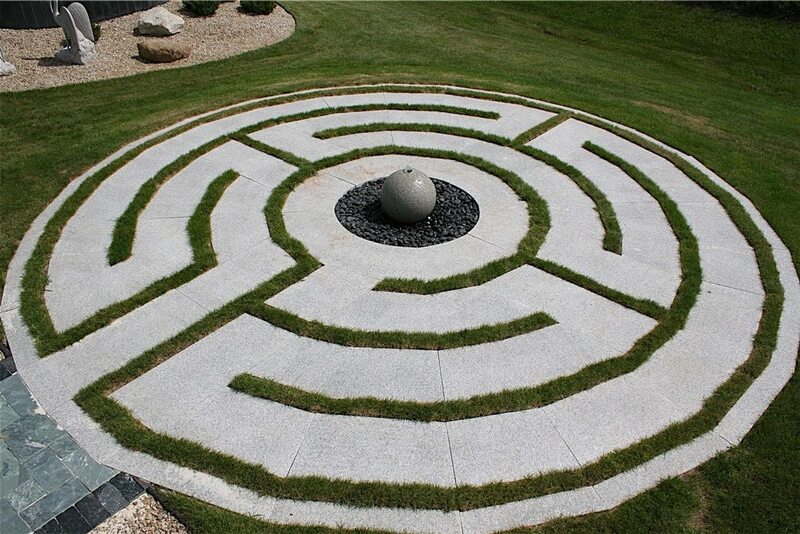 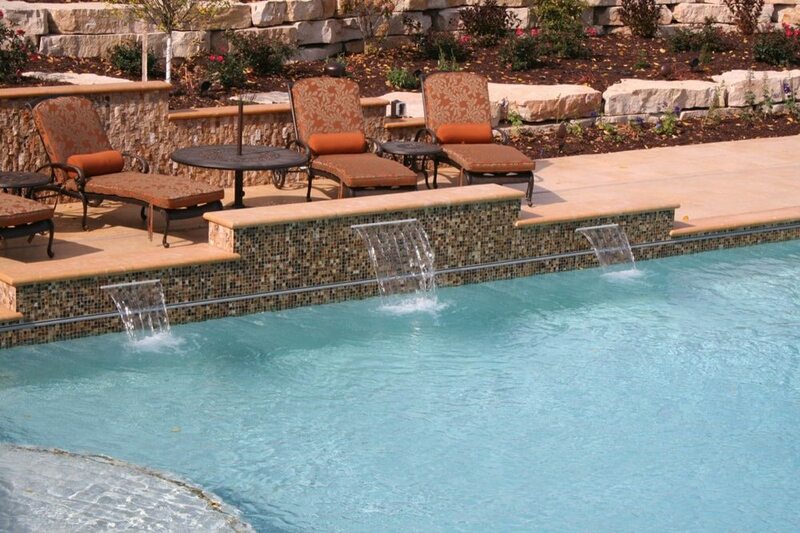 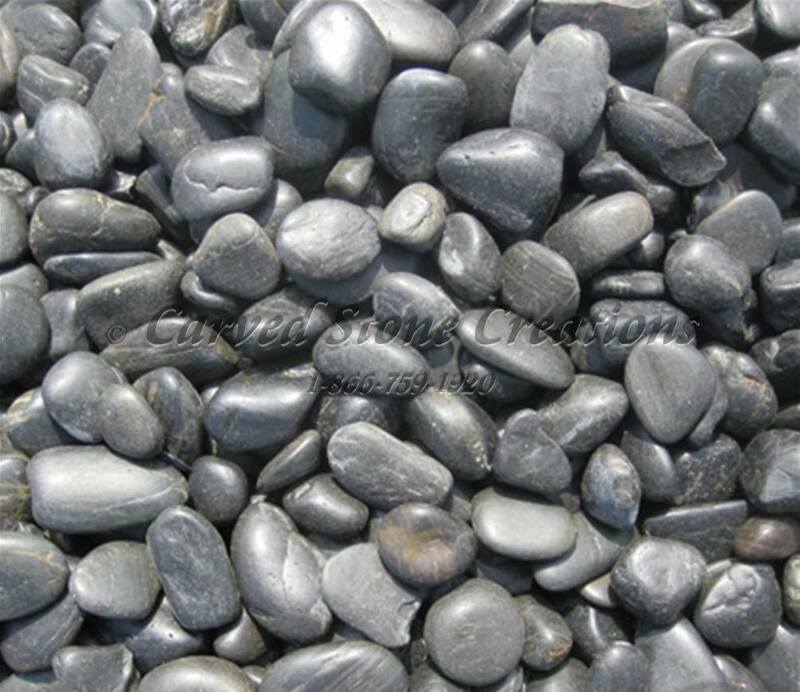 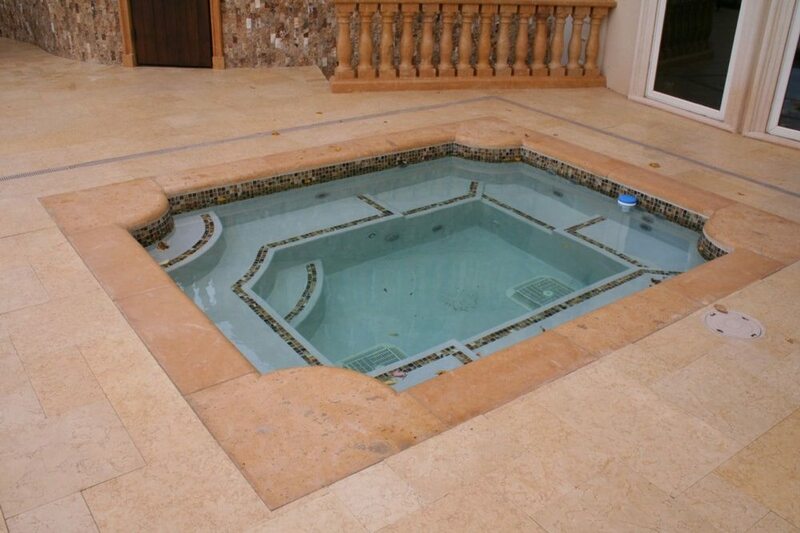 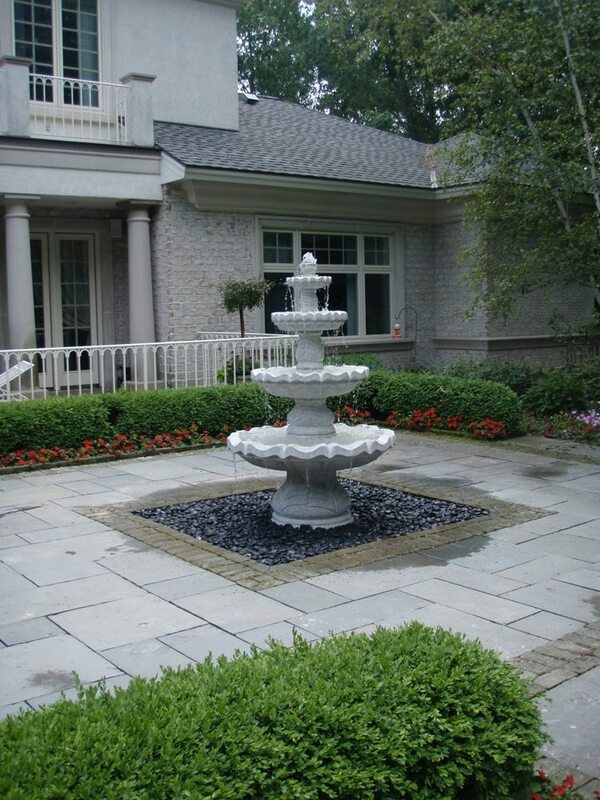 This 4-tiered granite patio fountain features a pond-less setup with water filtering through polished pebbles. 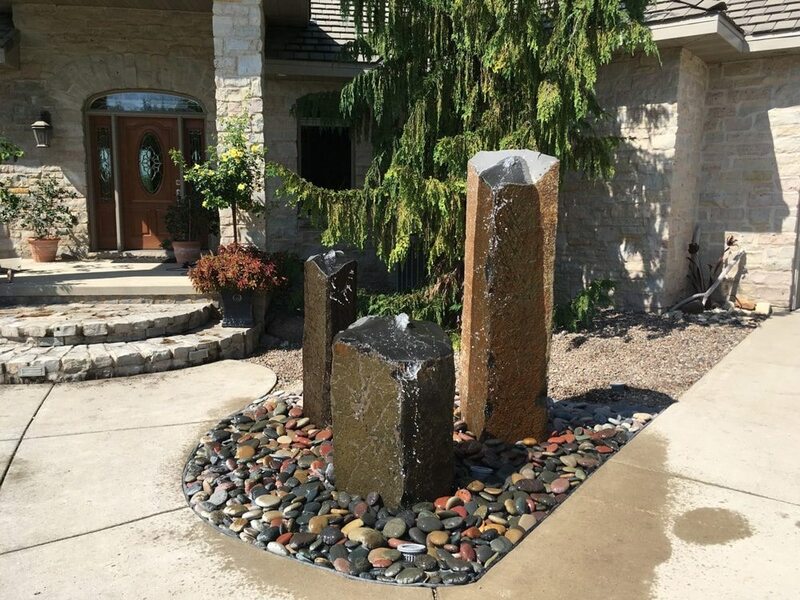 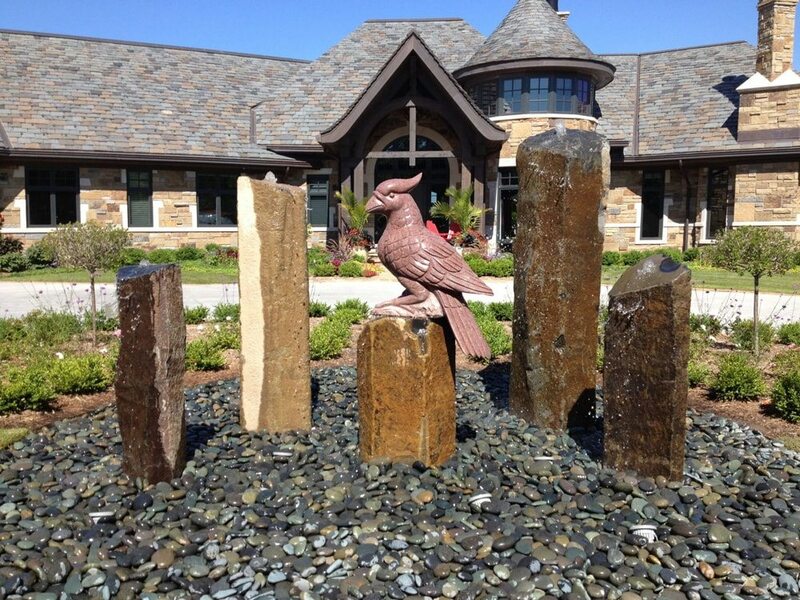 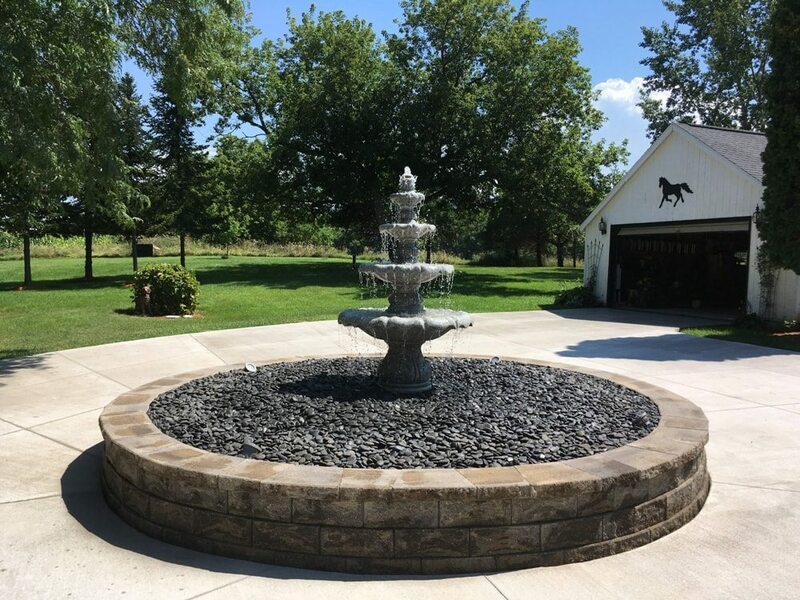 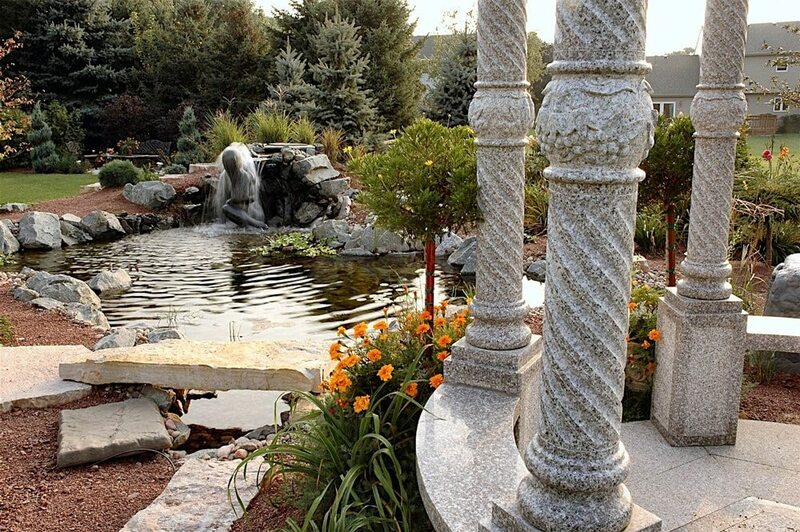 This 4-tiered granite fountain features a pond-less setup with water filtering through polished pebbles. 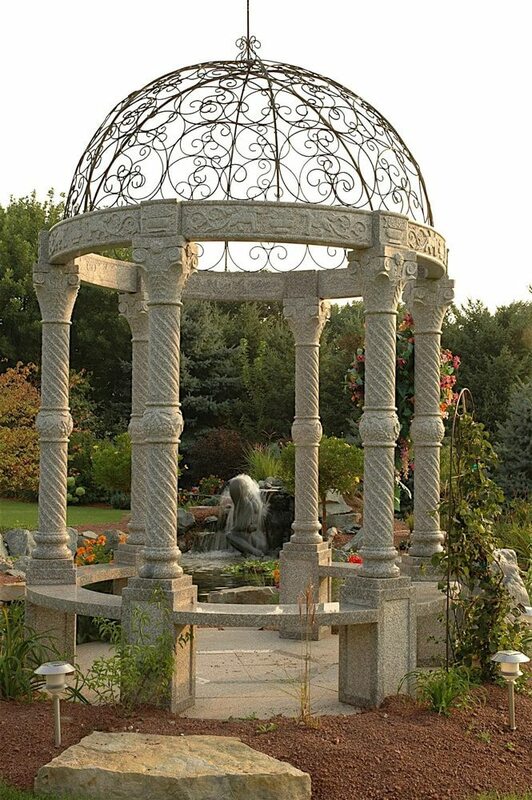 Large custom granite gazebo with balustrade. 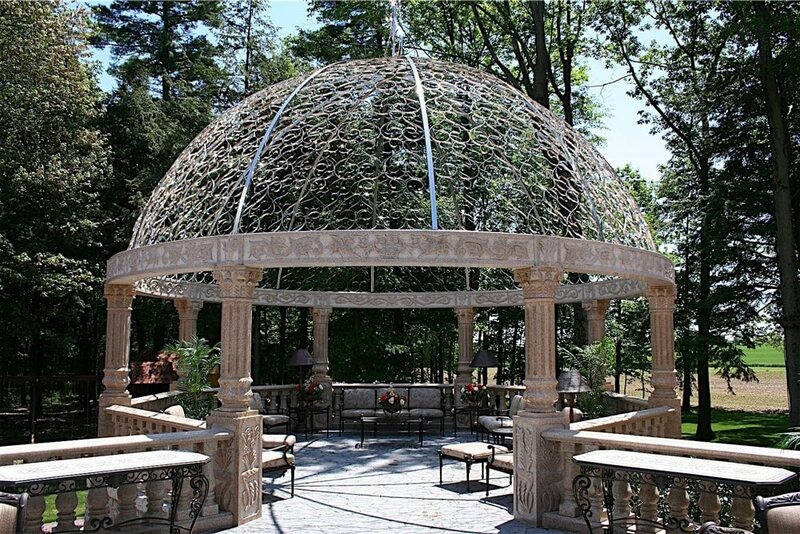 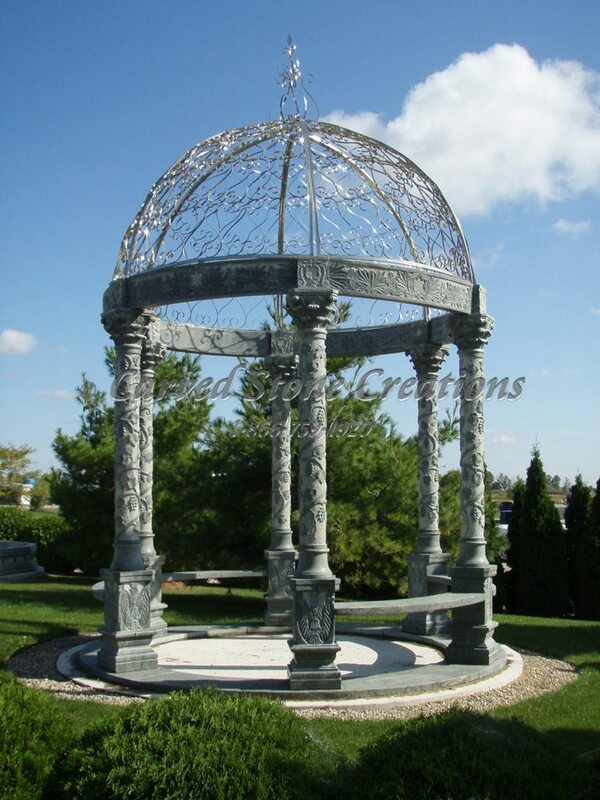 Large custom granite gazebo with balustrade and decorative stainless steel dome. 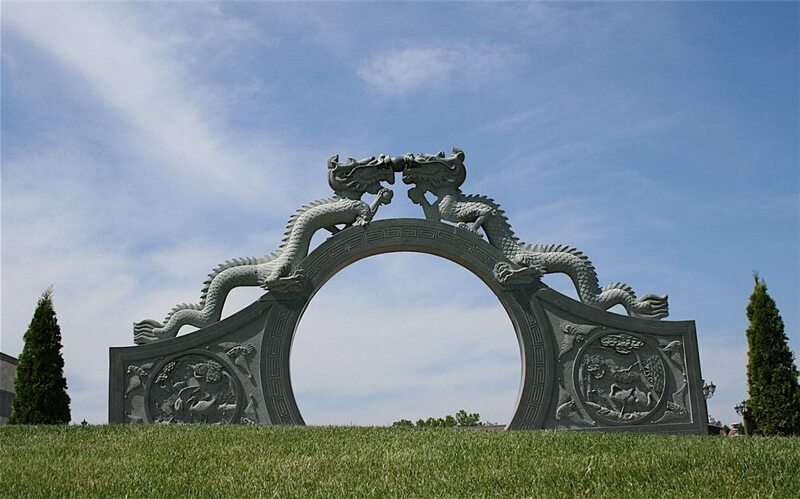 Chinese Dragon Moon Gate carved from beige granite. 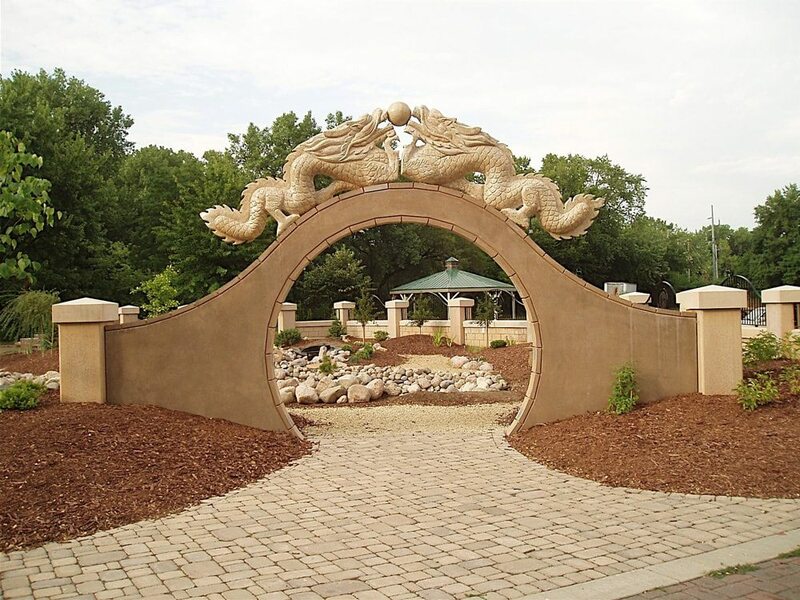 A polished Giallo Fantasia pearl is suspended between the dragon pair.